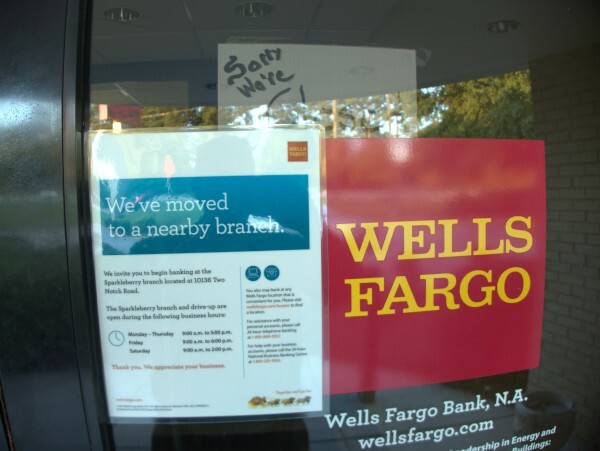 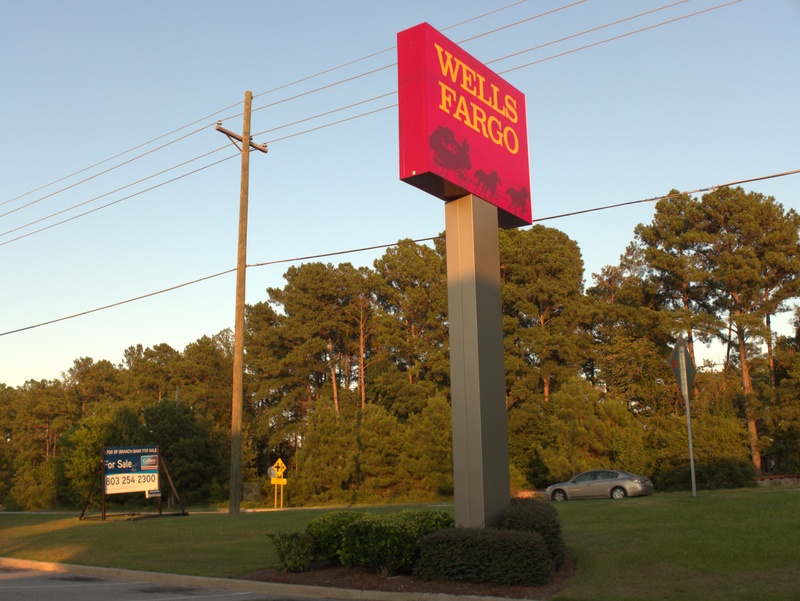 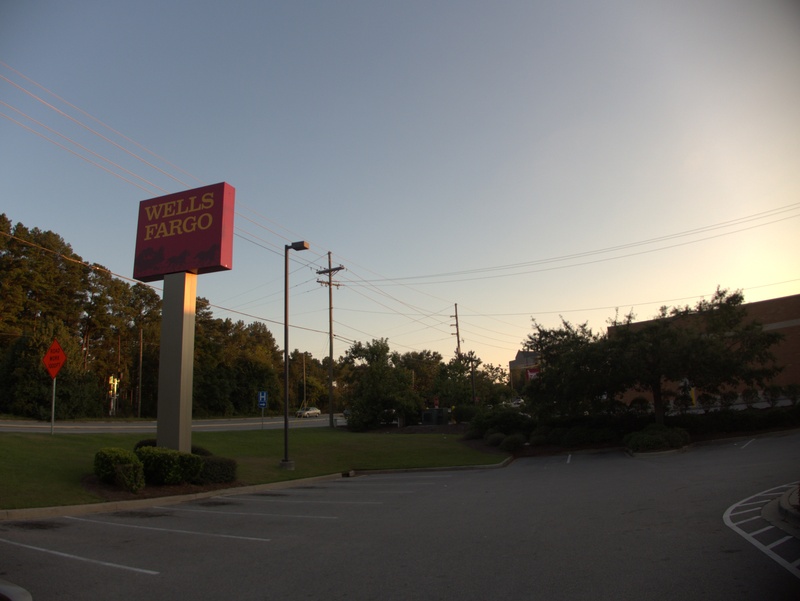 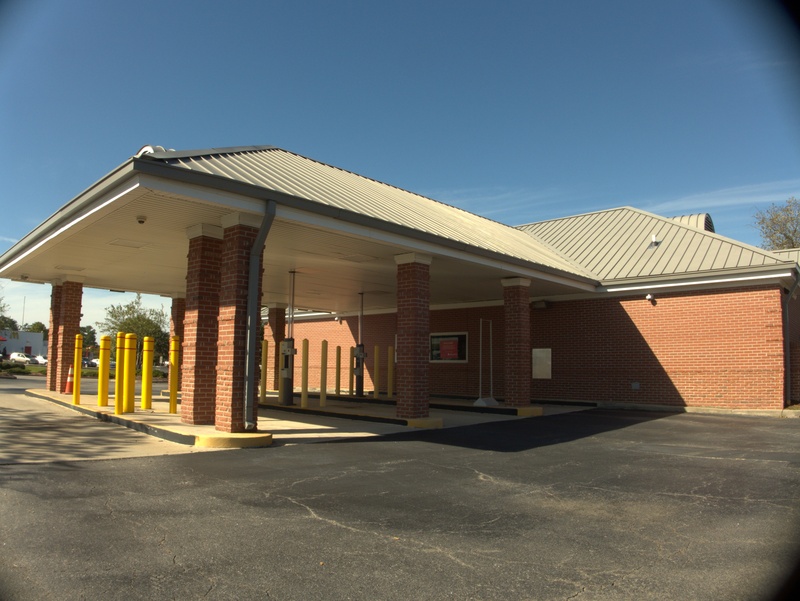 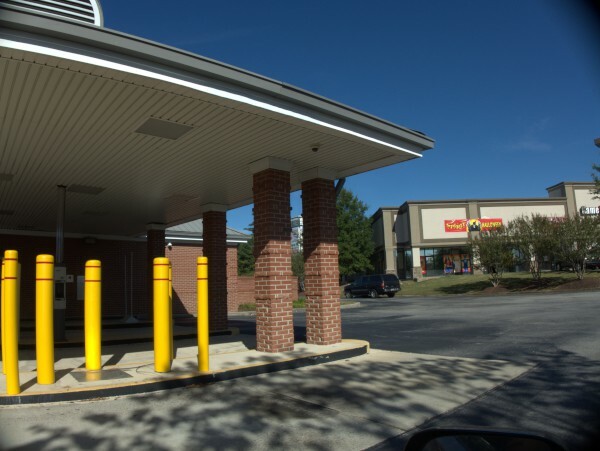 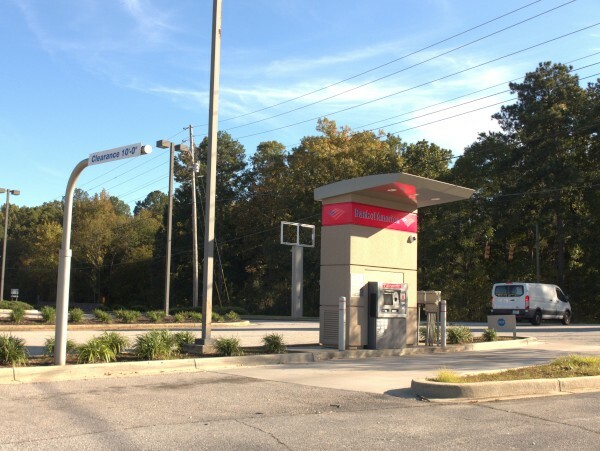 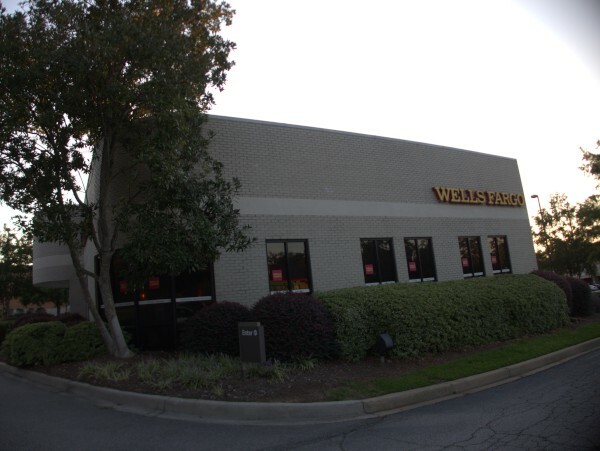 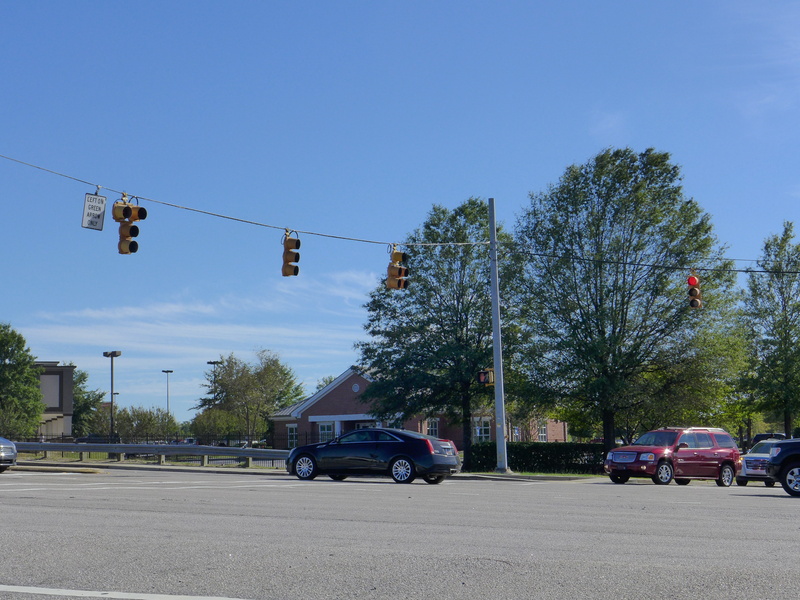 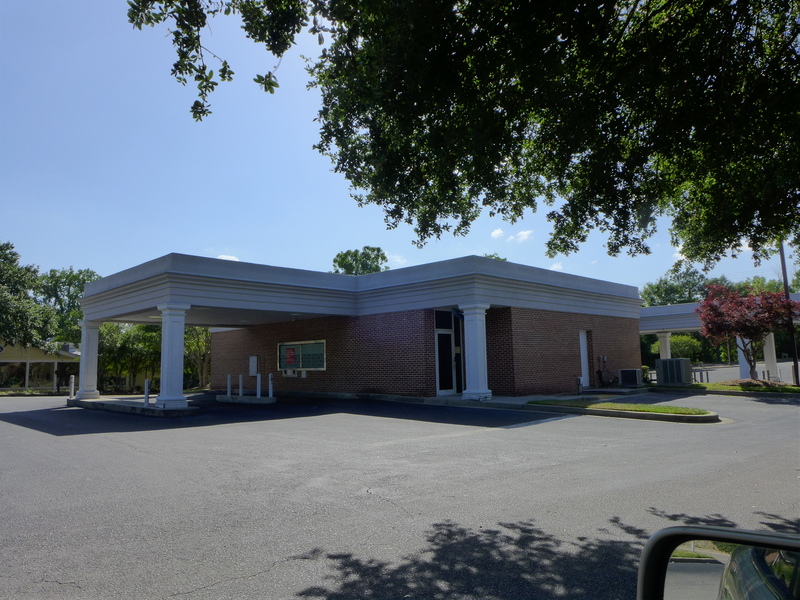 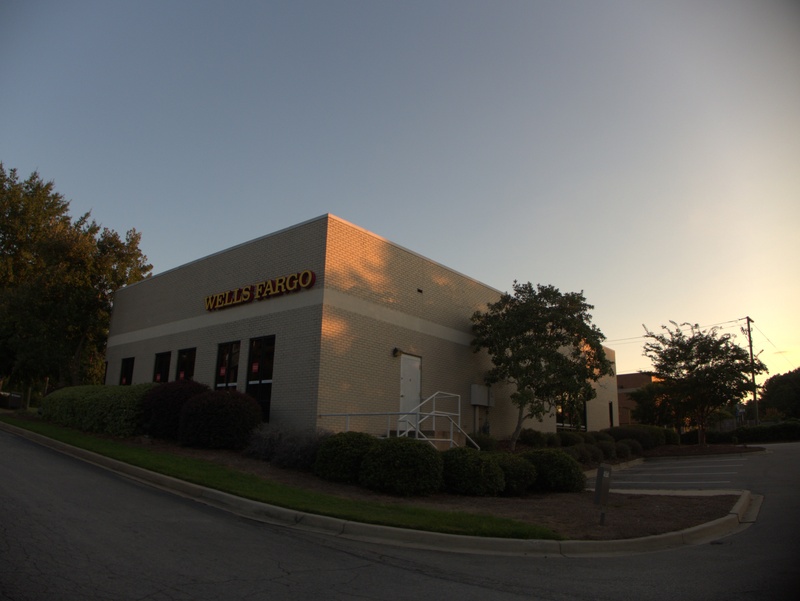 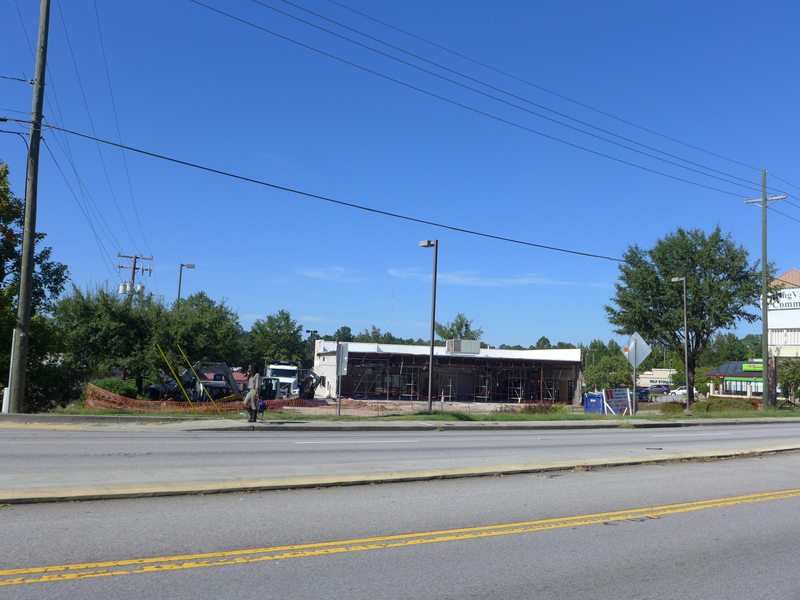 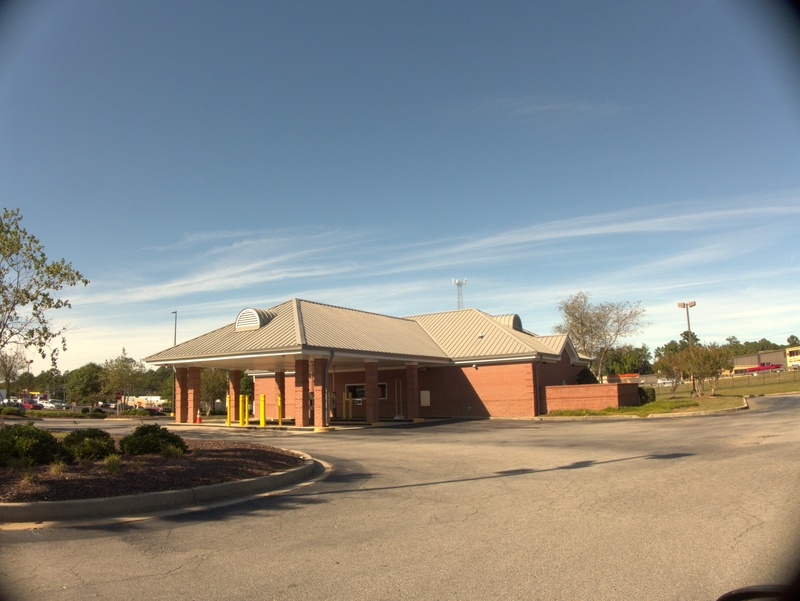 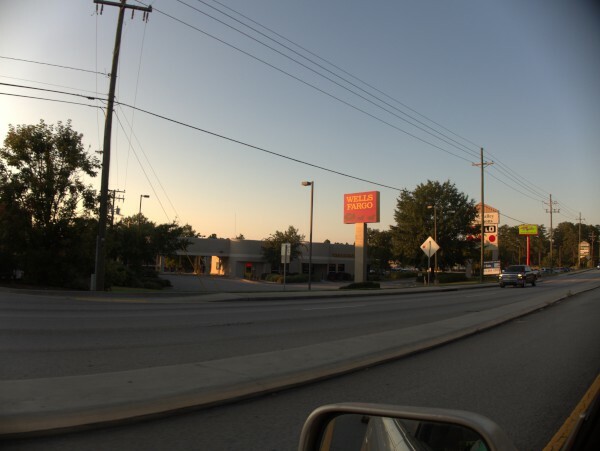 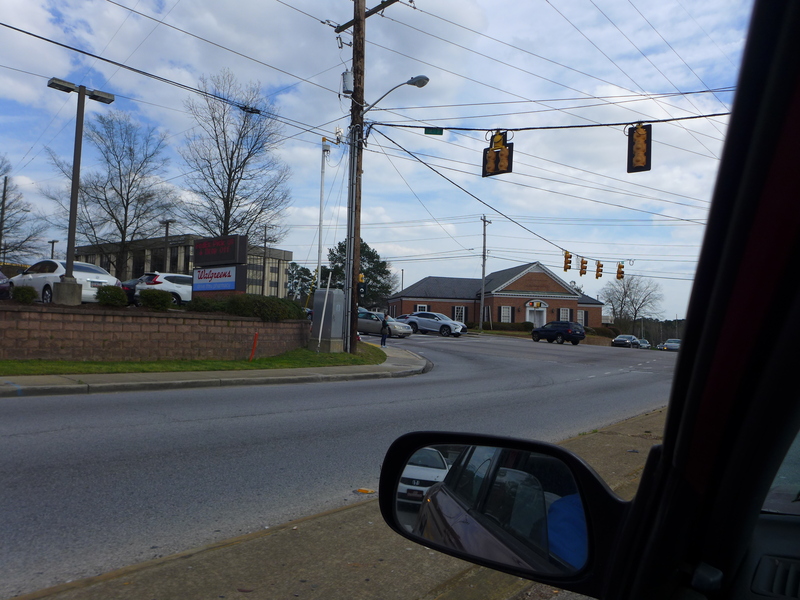 The de-branching of American banks continues with this Wells Fargo location at the southeast corner of Forest Drive and Beltline Boulevard being the latest example to feature here. 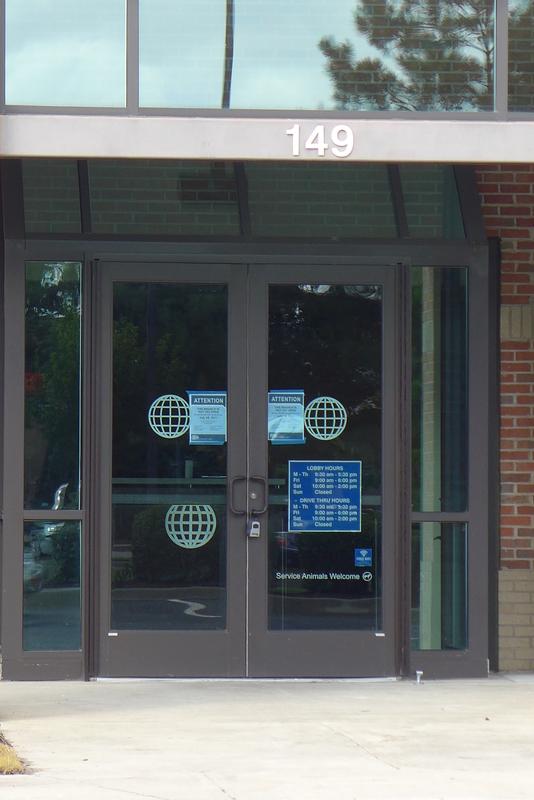 I had actually been inside this bank, as my sister and I took care of some shared business there. 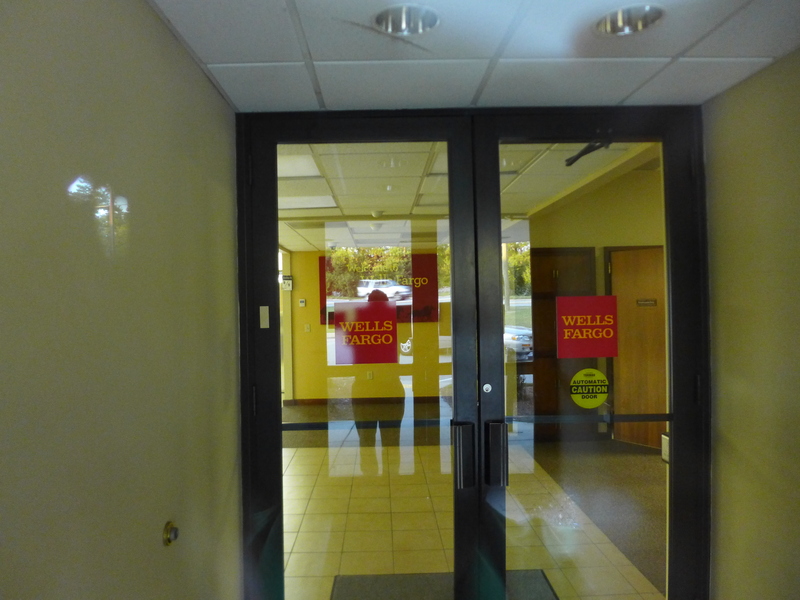 It was what you would expect, and a perfectably acceptable experience. 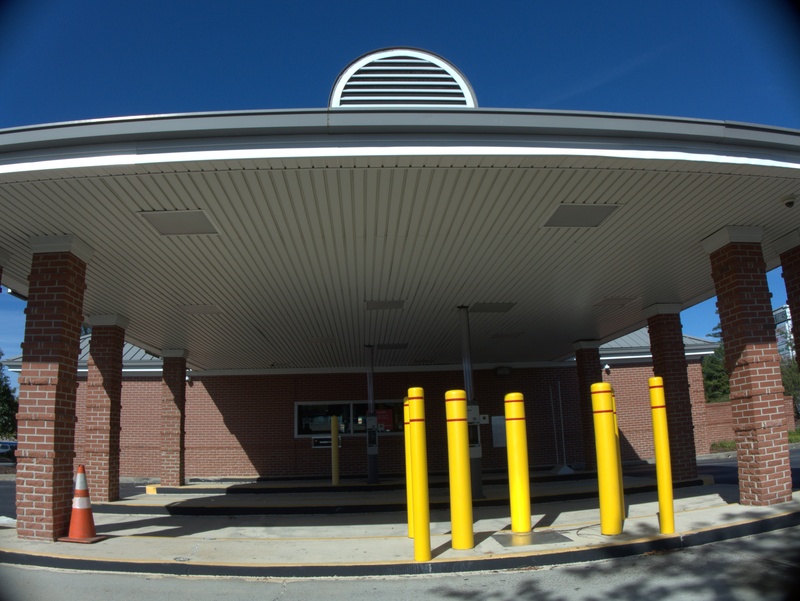 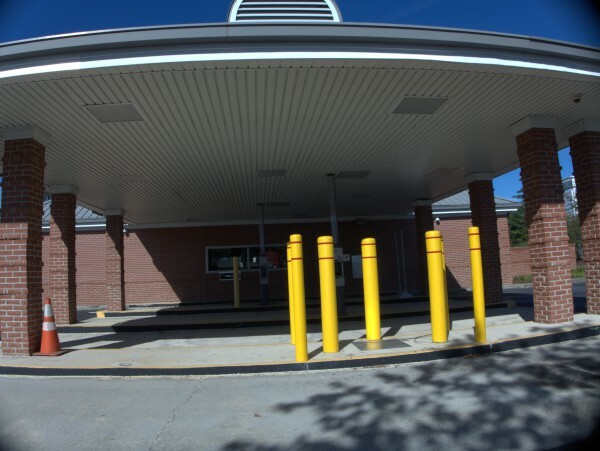 The place is also actually a little easier to get in and out of than you would think, as there is a back exit to a road paralleling Forest drive behind the mirror buildings that brings you back out at a more convenient location. 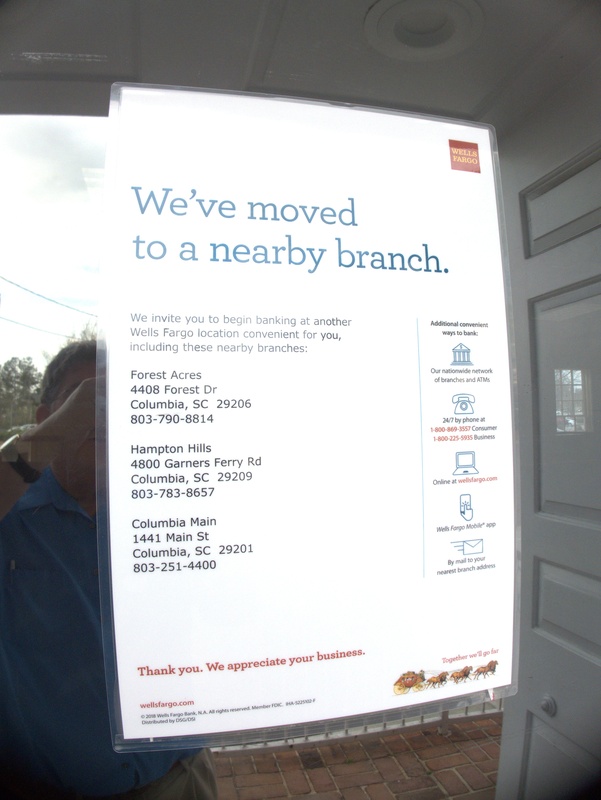 There's not much to say about this closing except that the process of branch pruning at banks is continuing apace. 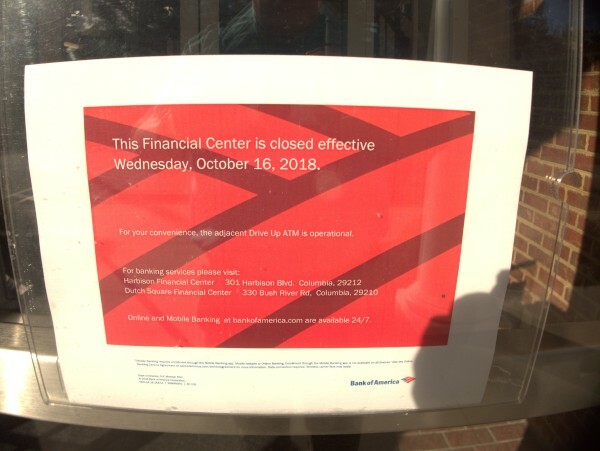 As a Bank of America customer I have used this ATM a number of times to avoid fees, but have never been in the branch itself. 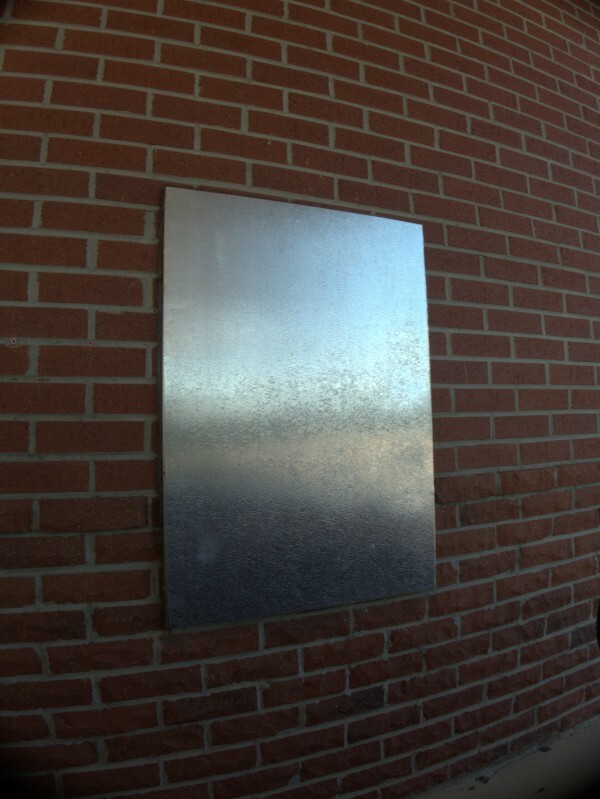 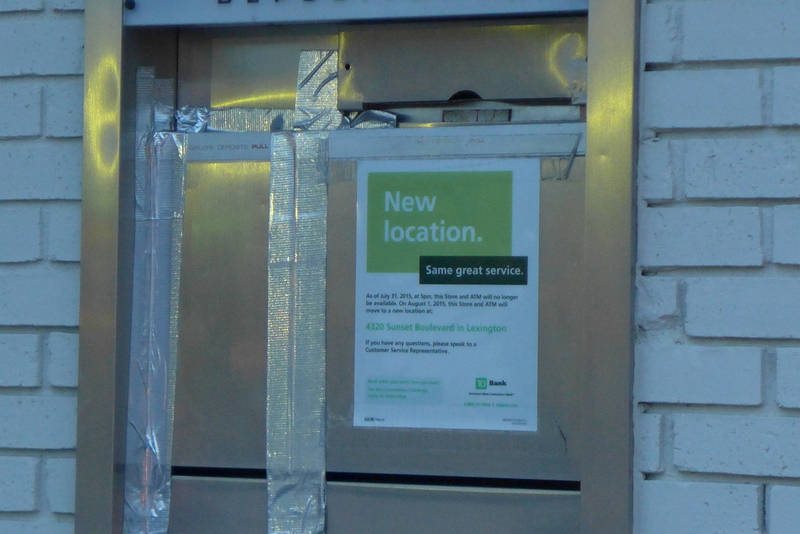 For now, the ATM will remain. 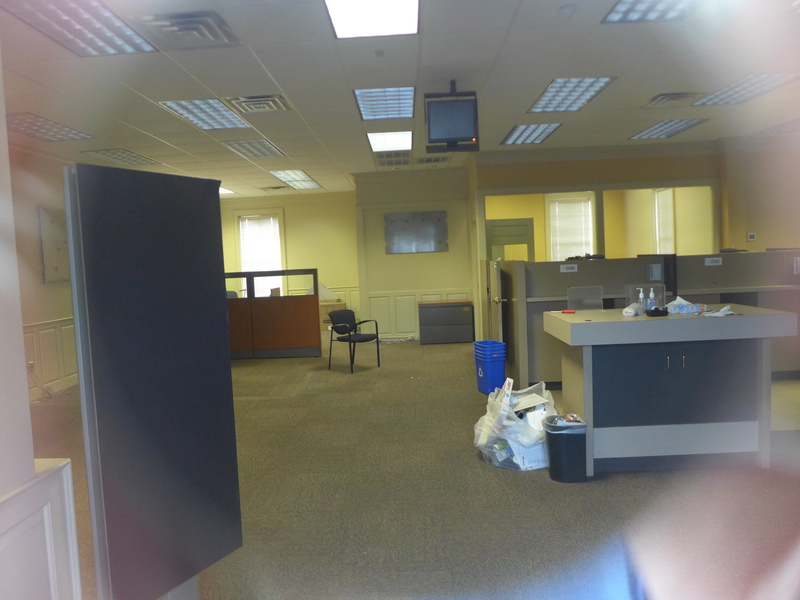 Here'a another vacant bank branch, though this one closed a good while ago. 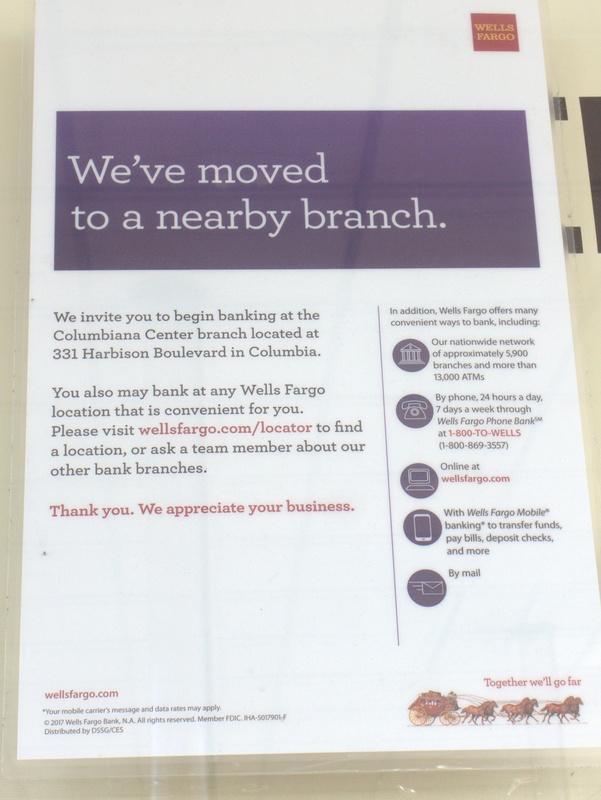 I find it a little interesting because Capital Bank has not really been in Columbia all that long in the first place as I recall it. Looking at Wikipedia. 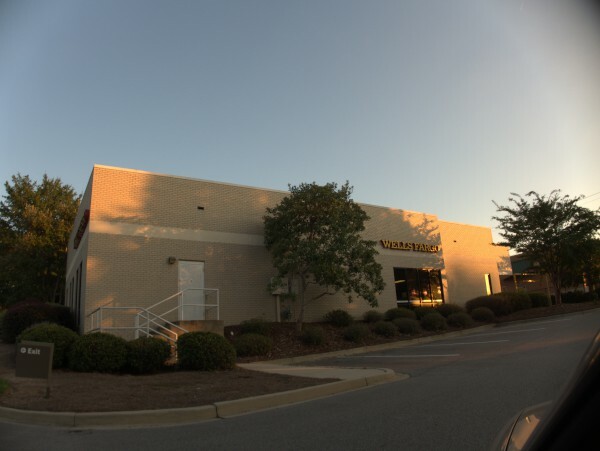 Also, it appears that Capital was bought out late last year by First Horizon so the remaining branches are not really the same company though the name will continue to be used except in TN. 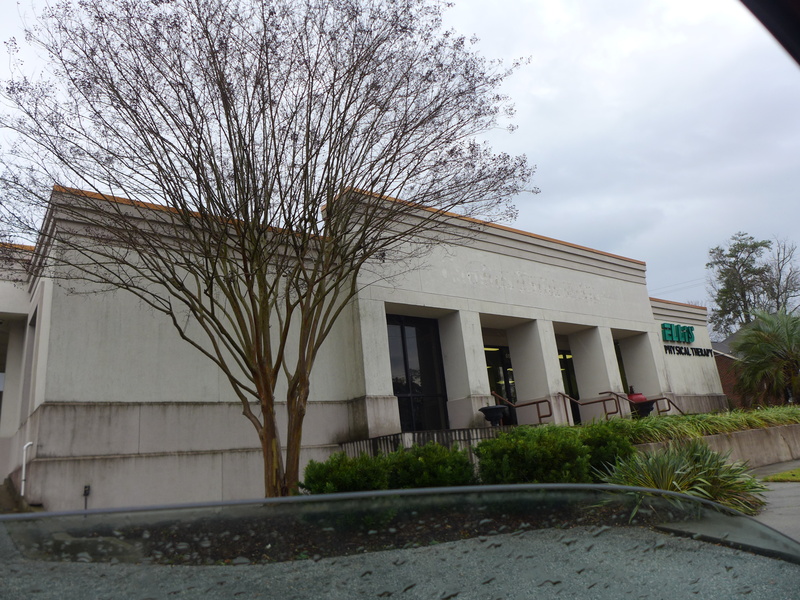 It was raining a bit when I took these pictures and I was trying to not get the lens wet. 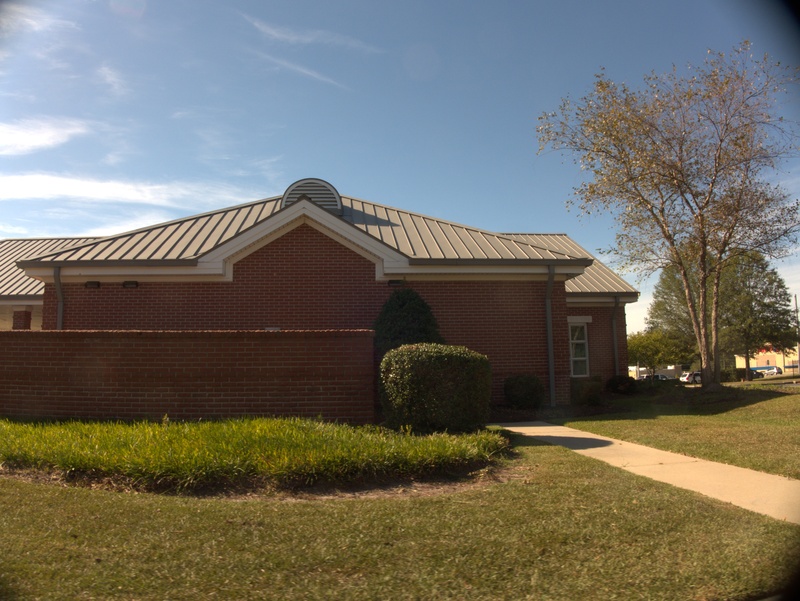 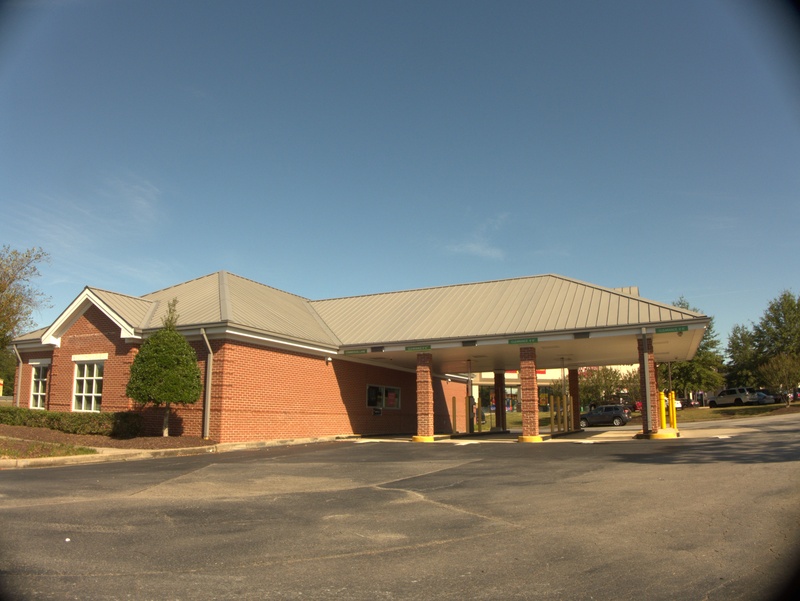 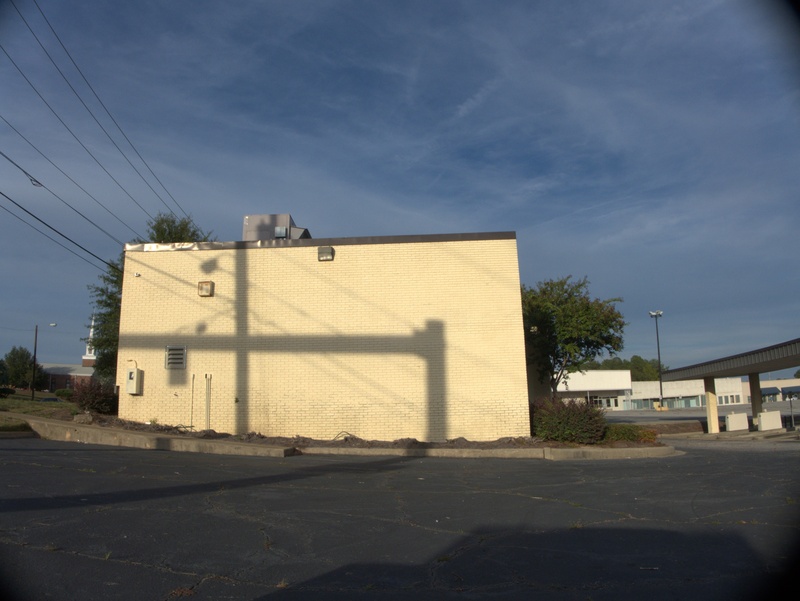 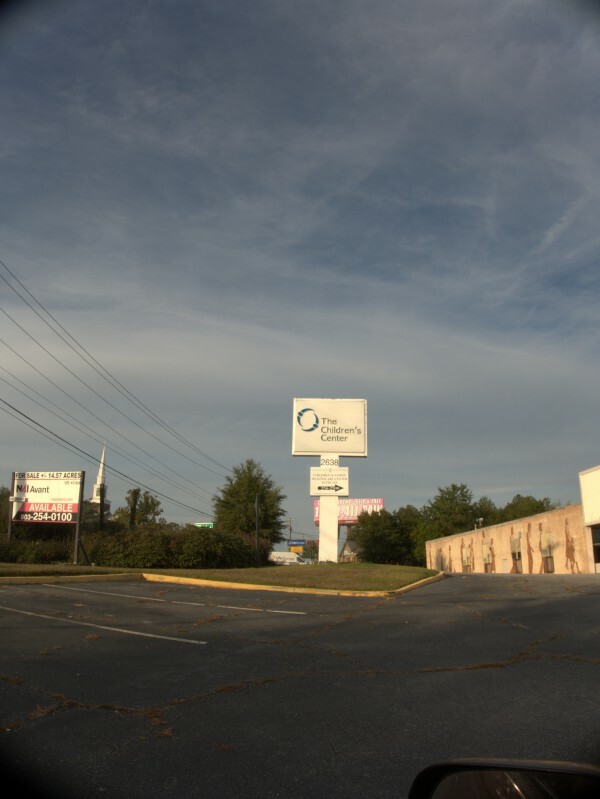 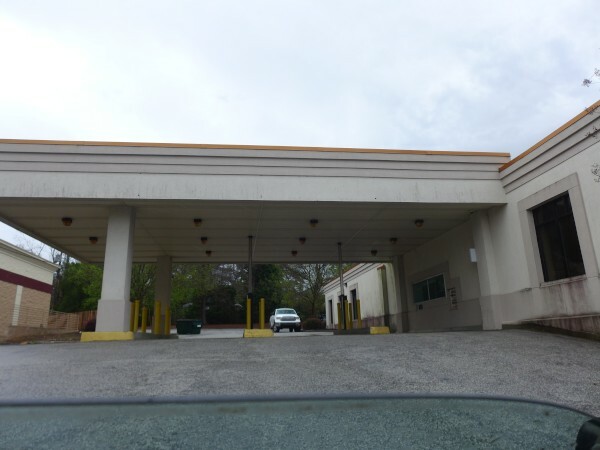 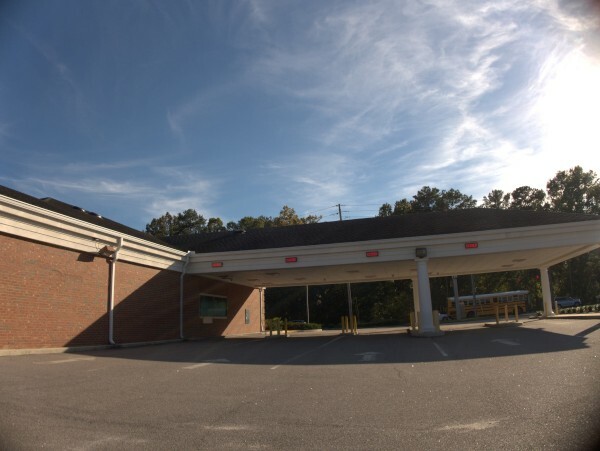 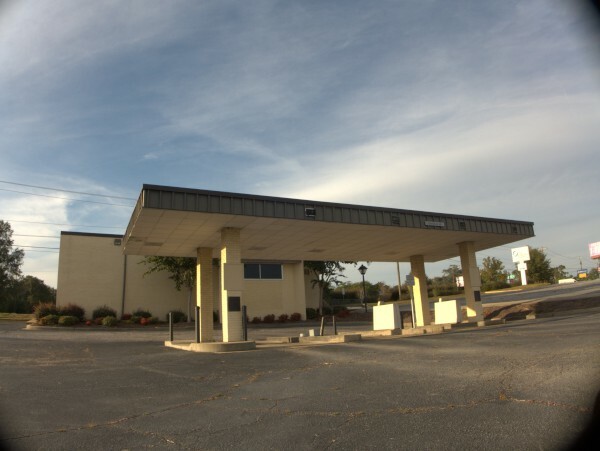 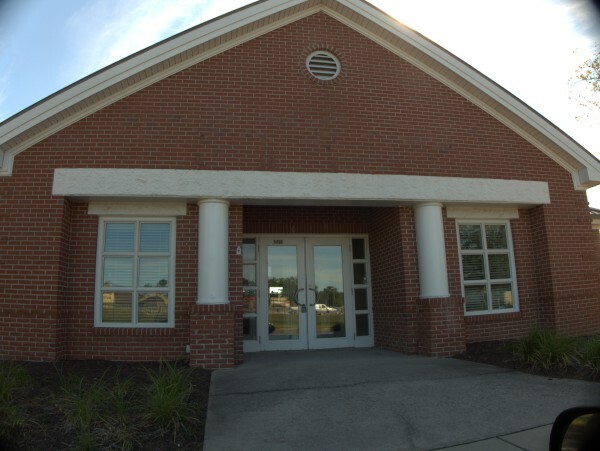 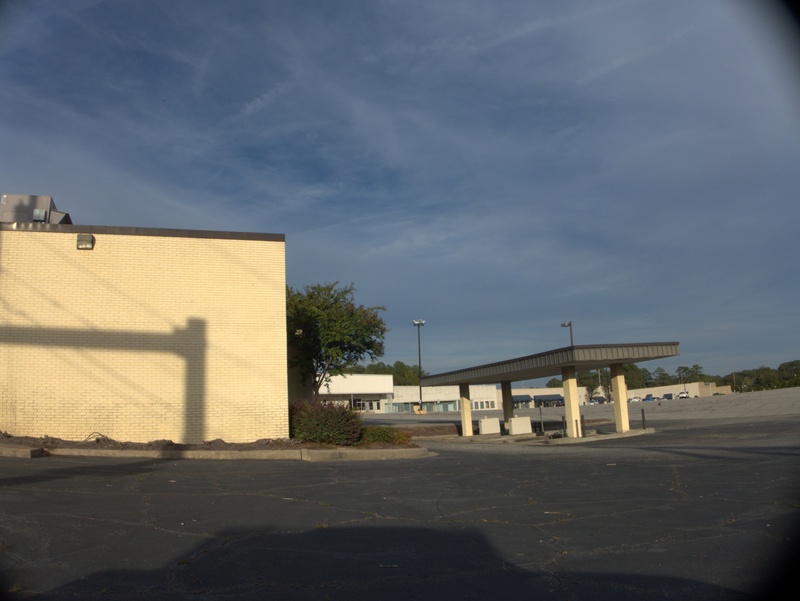 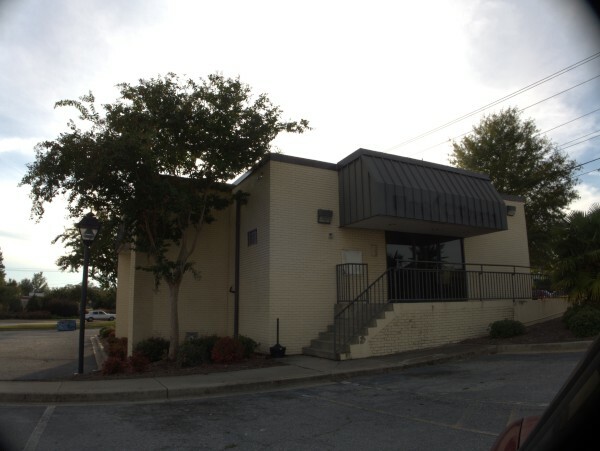 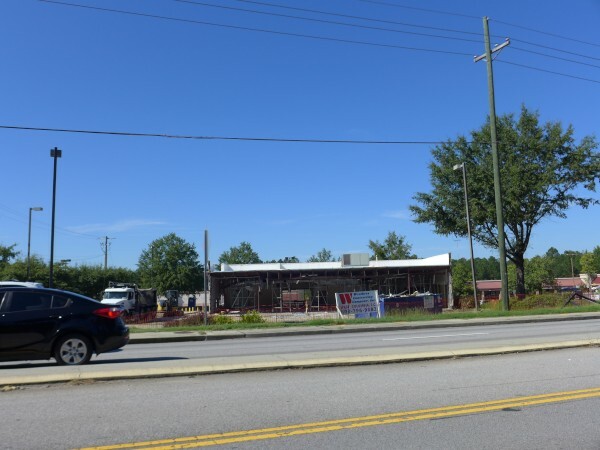 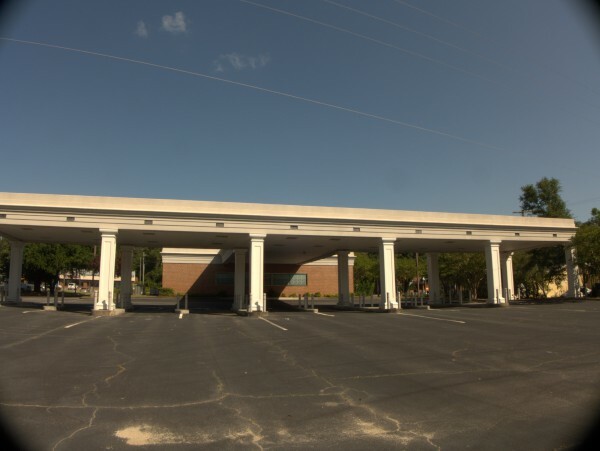 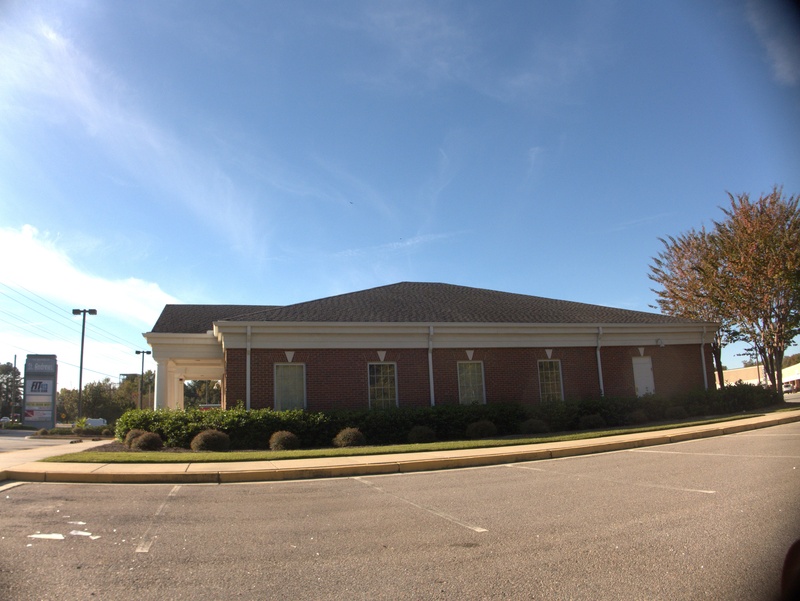 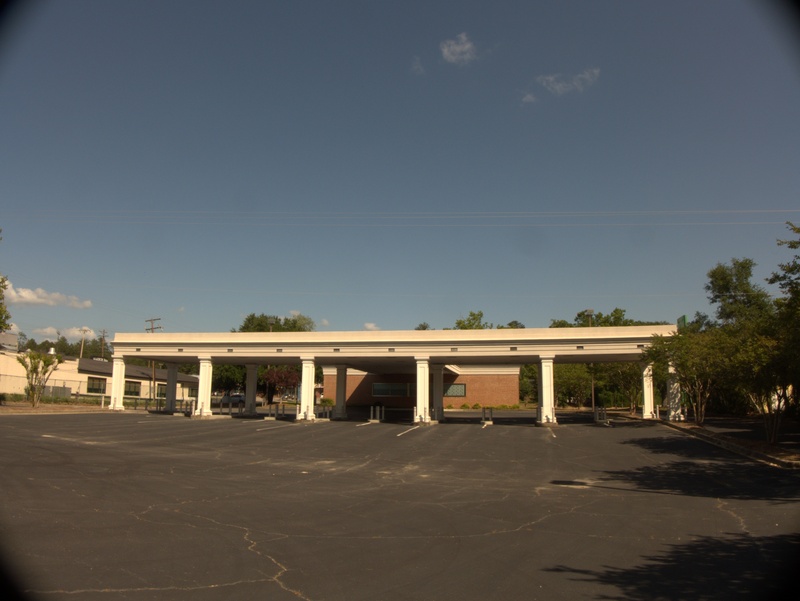 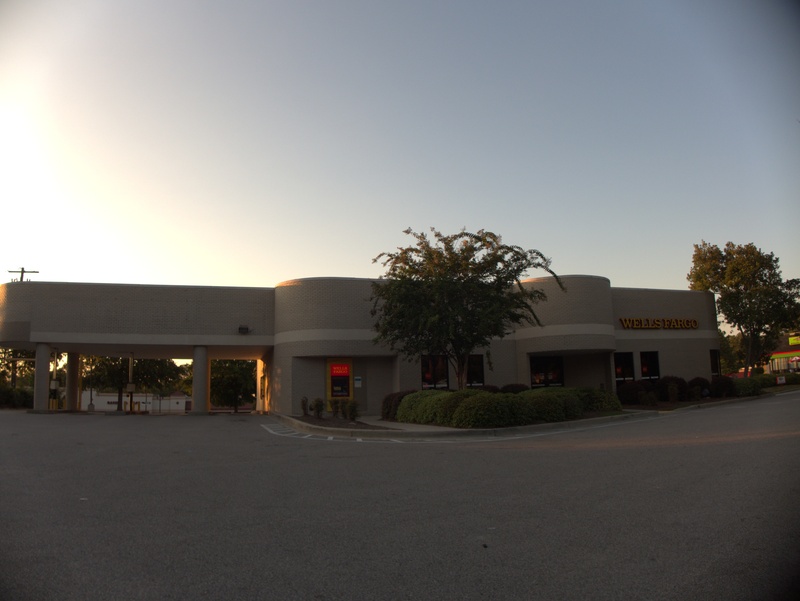 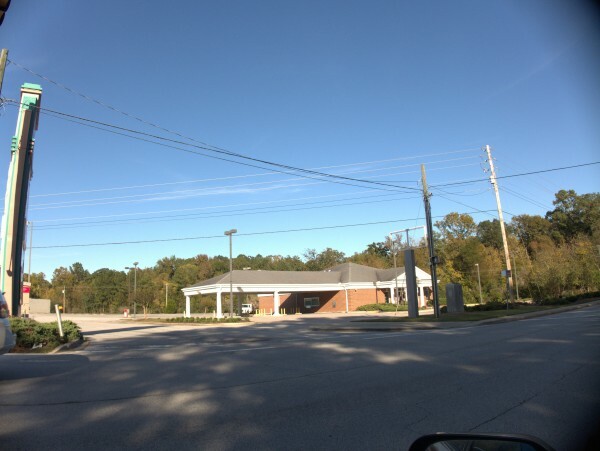 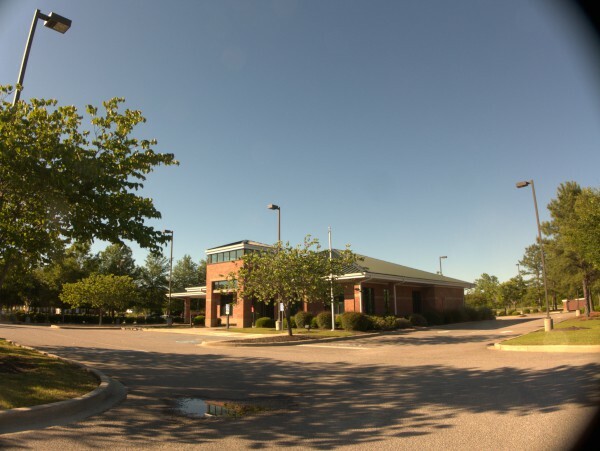 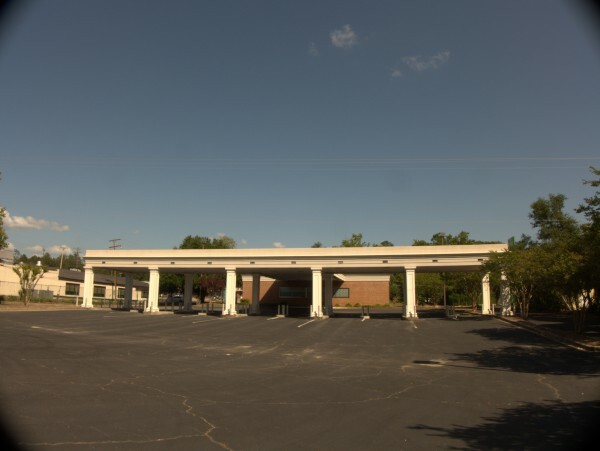 There is a much better picture at the LoopNet listing, which also shows better that part of the building is still occupied by Ellis Physical Therapy. 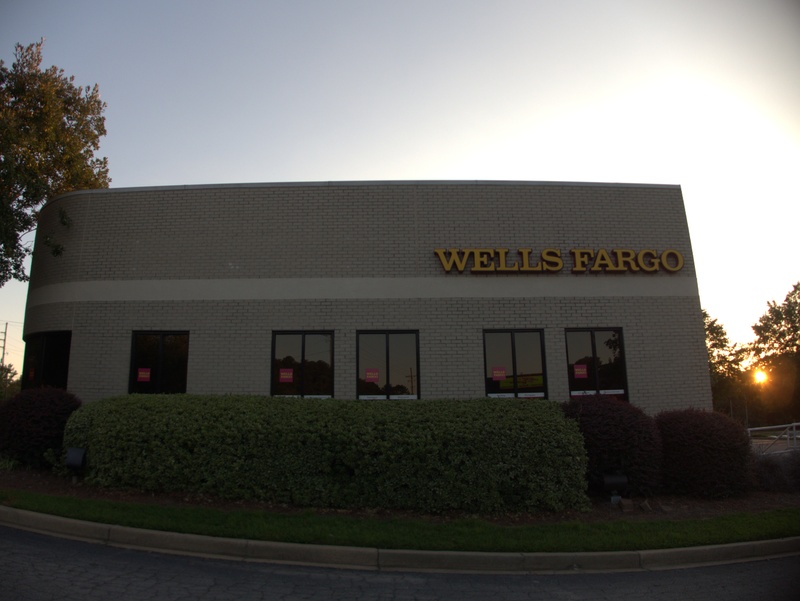 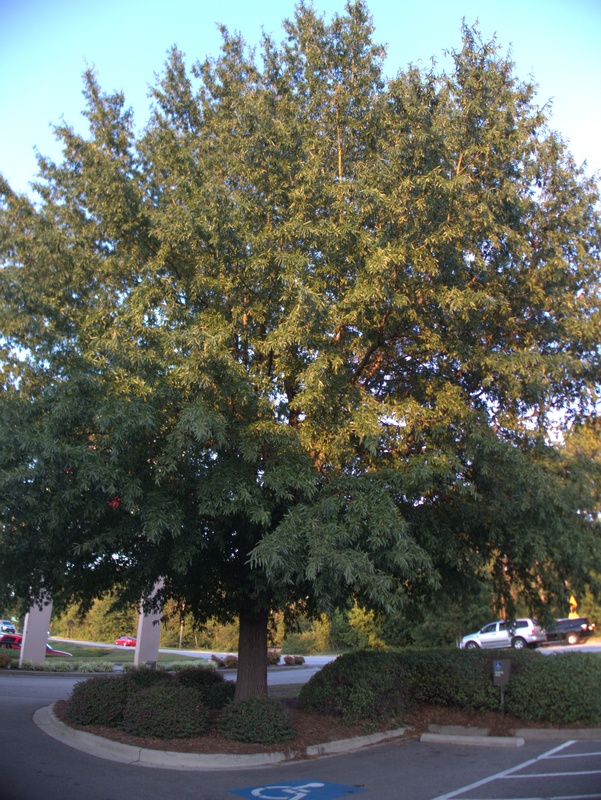 Here's another Wells Fargo branch "pruning", this one on Columbiana Drive at Afton Court. (And next to the former Monterrey Mexican). 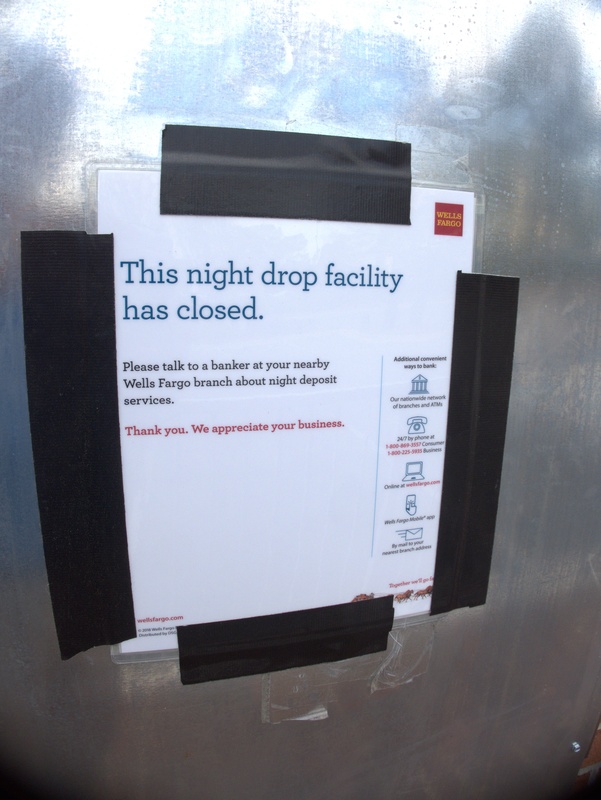 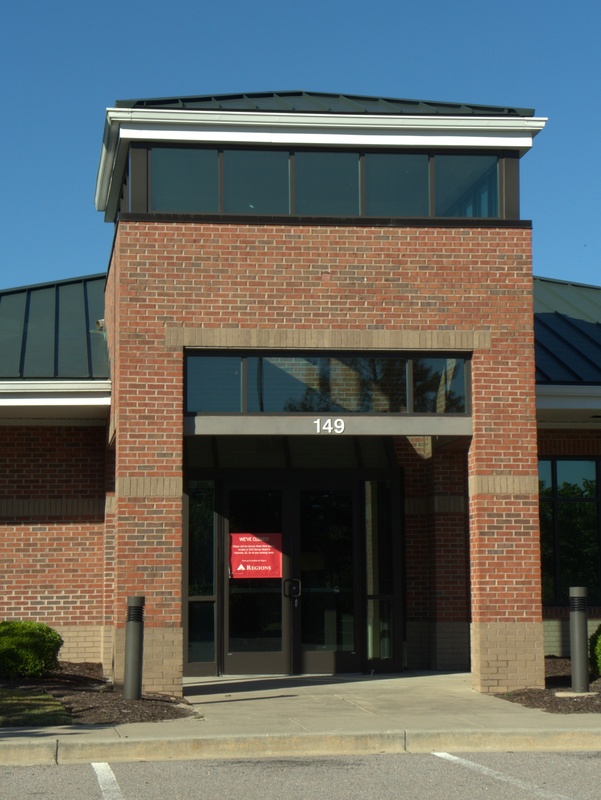 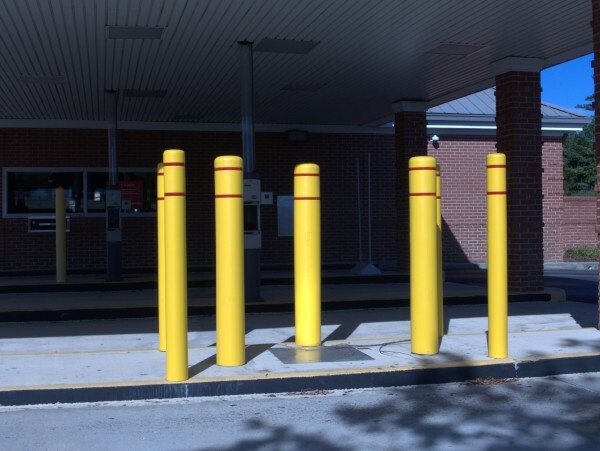 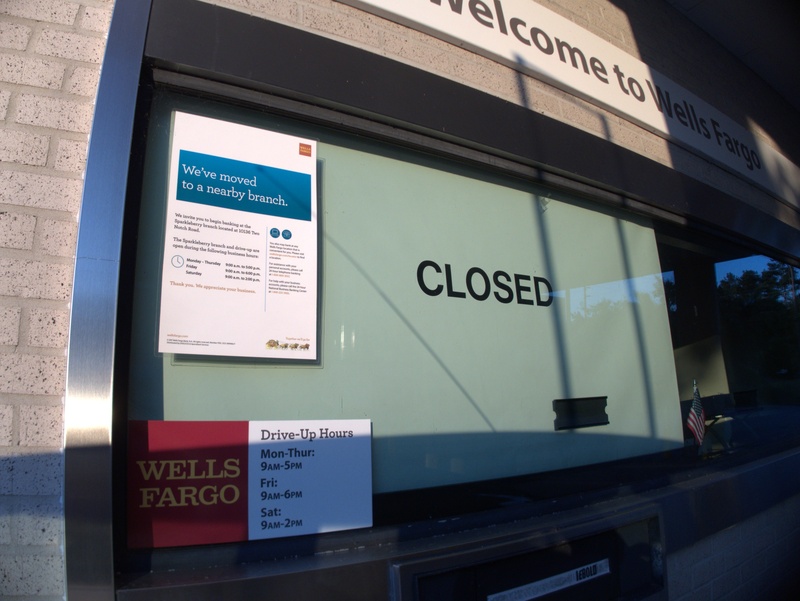 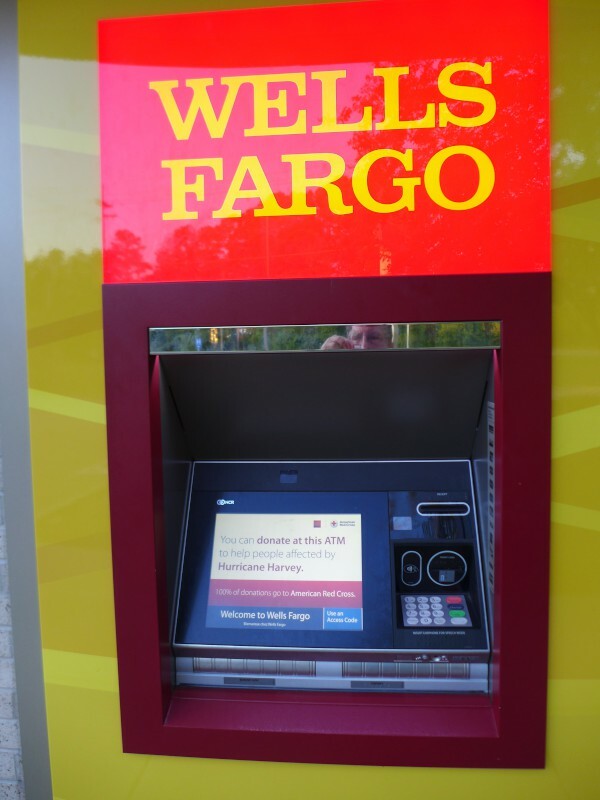 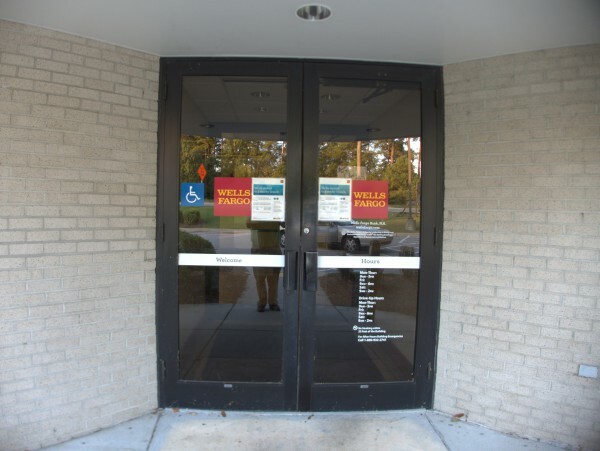 You may also bank at any Wells Fargo location that is convenient for you. 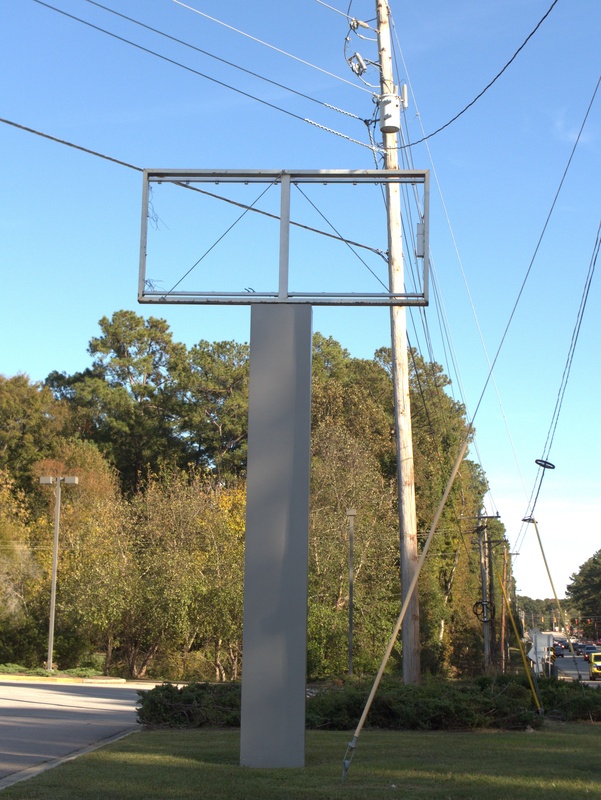 Well, that's big of them. 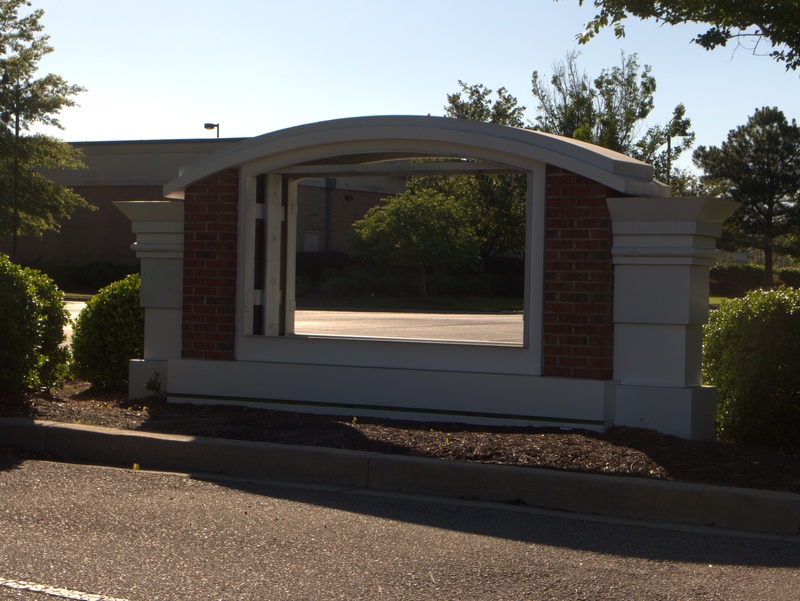 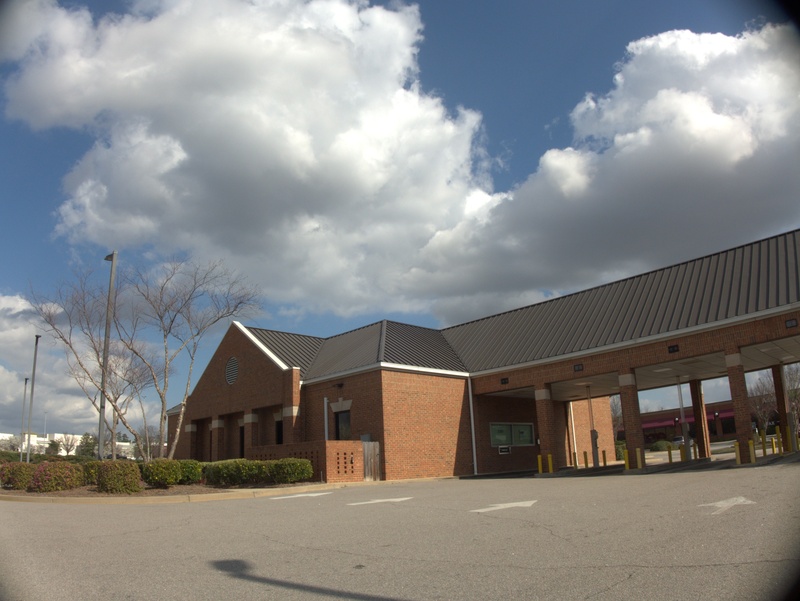 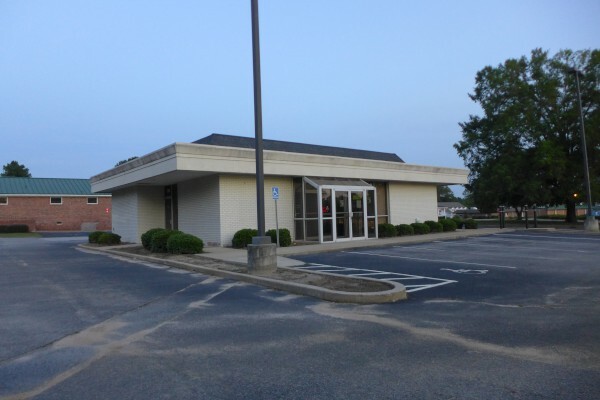 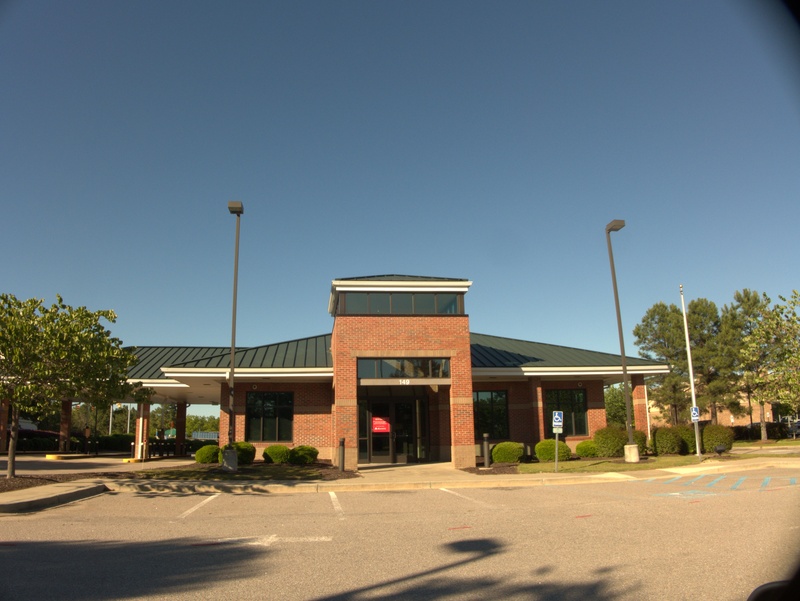 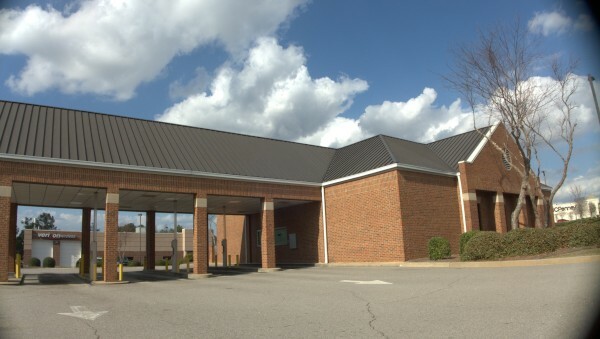 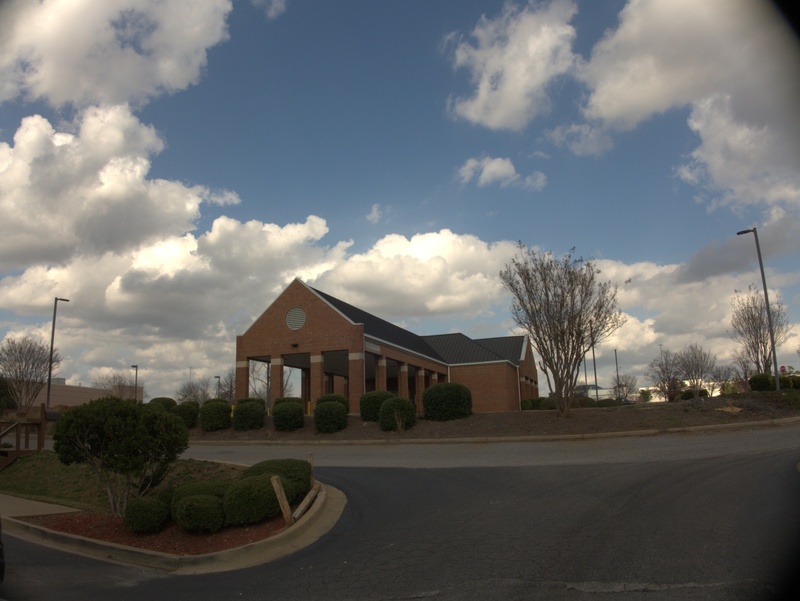 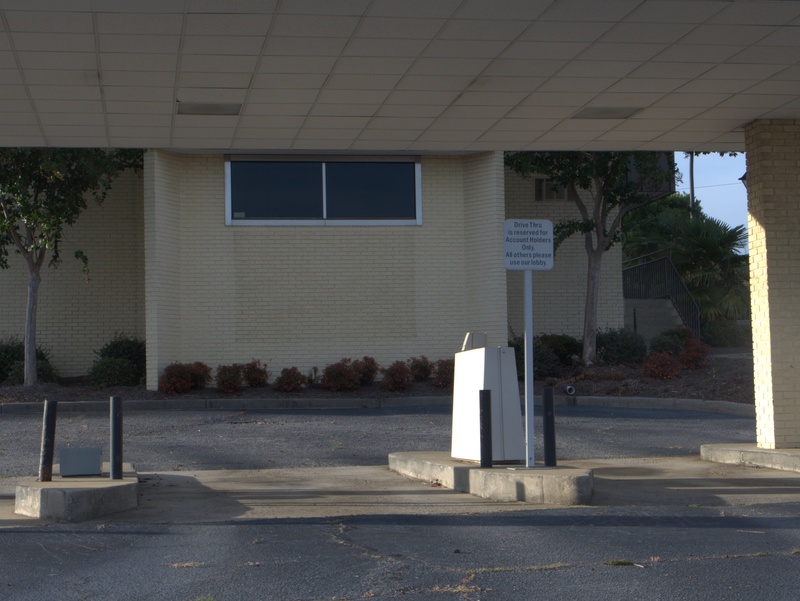 Here's another abandoned branch bank, this one at Midlands Shopping Center which, as far as I know, is still for sale. 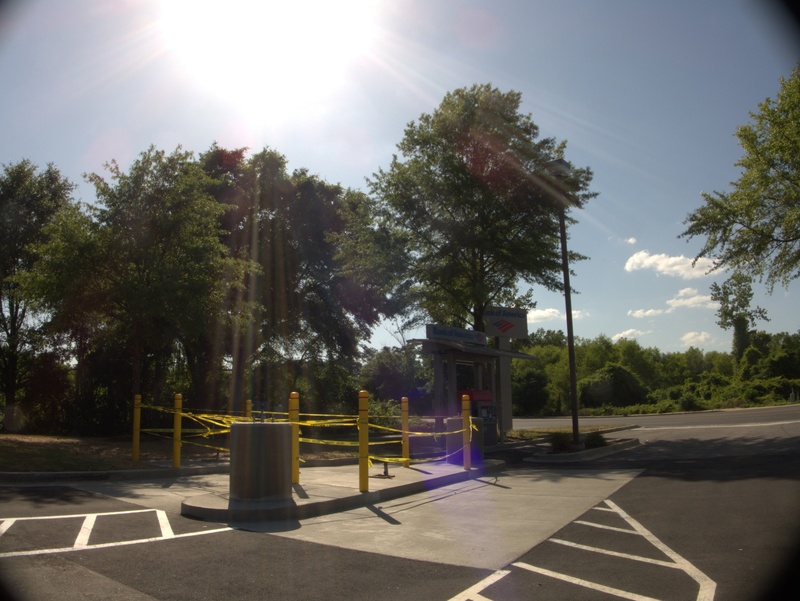 The site has high visibility as 18,400 vehicles per day pass the site. which is undoubtedly true, but leaves out the fact that *stopping* at the site is another matter entirely. 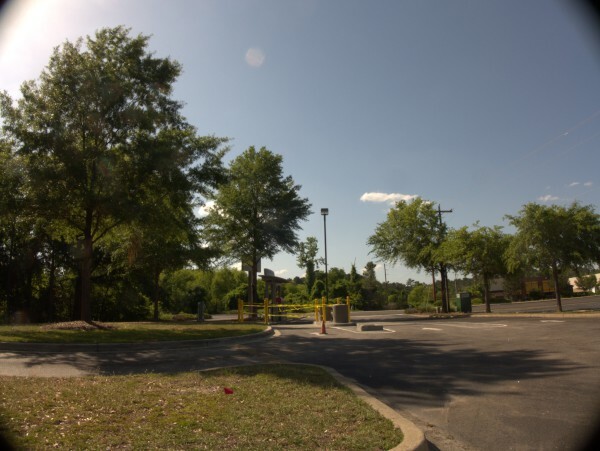 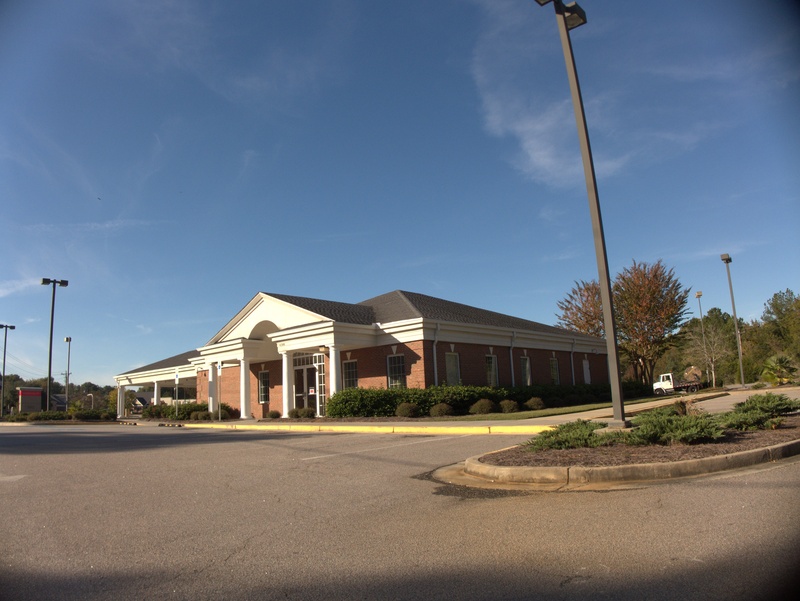 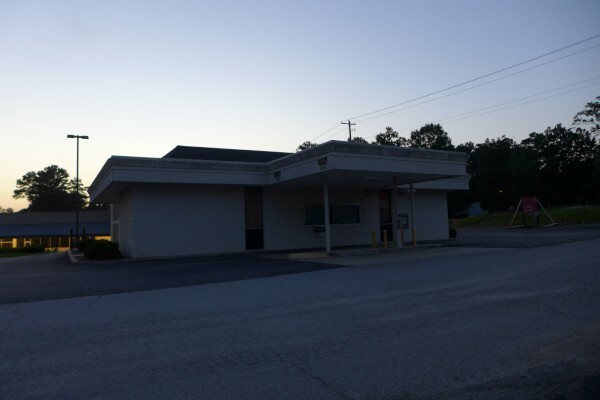 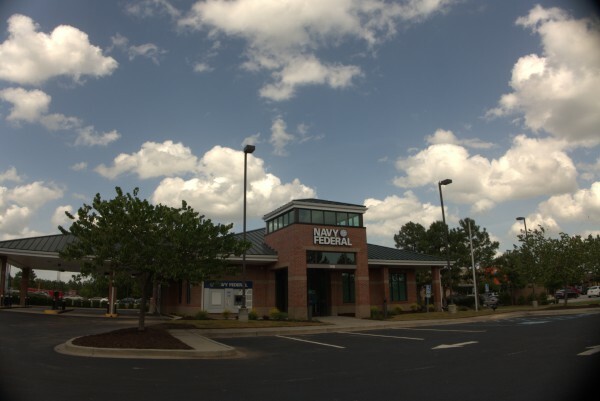 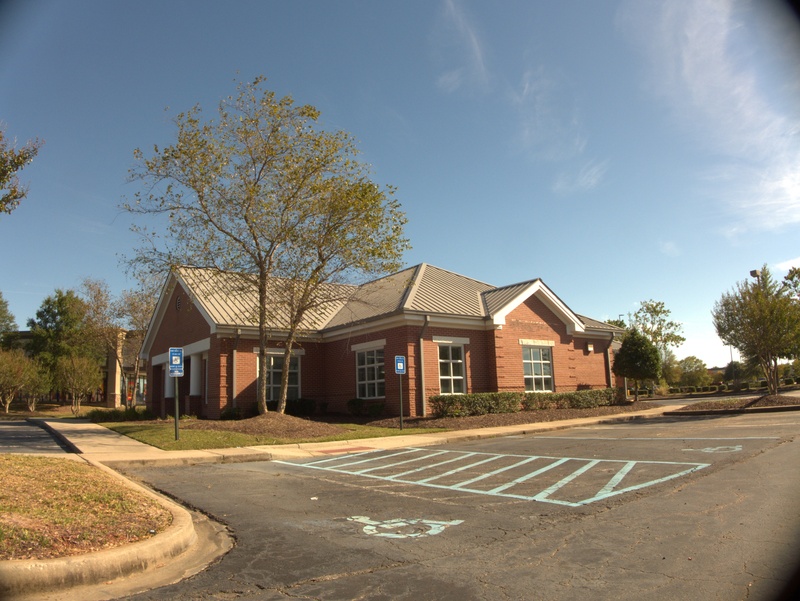 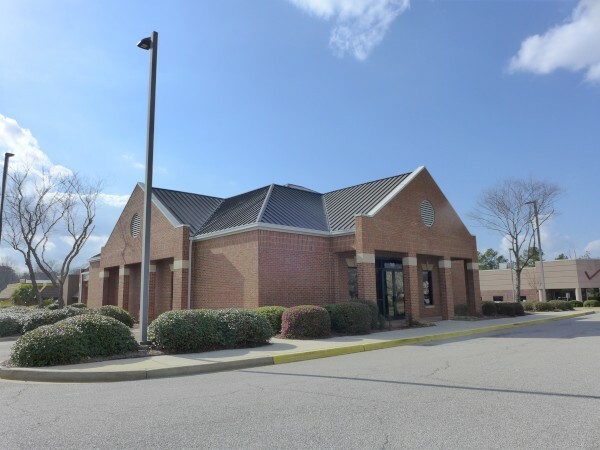 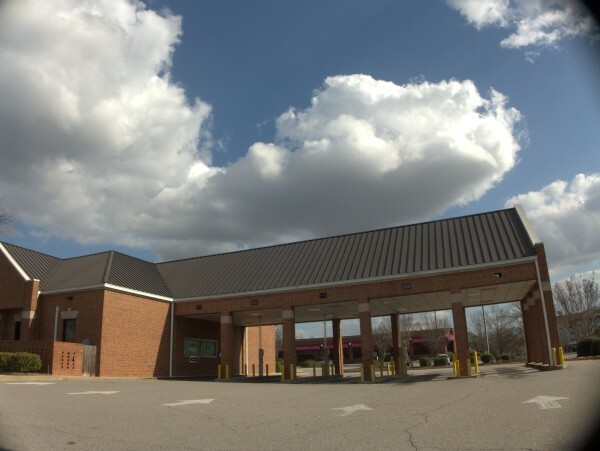 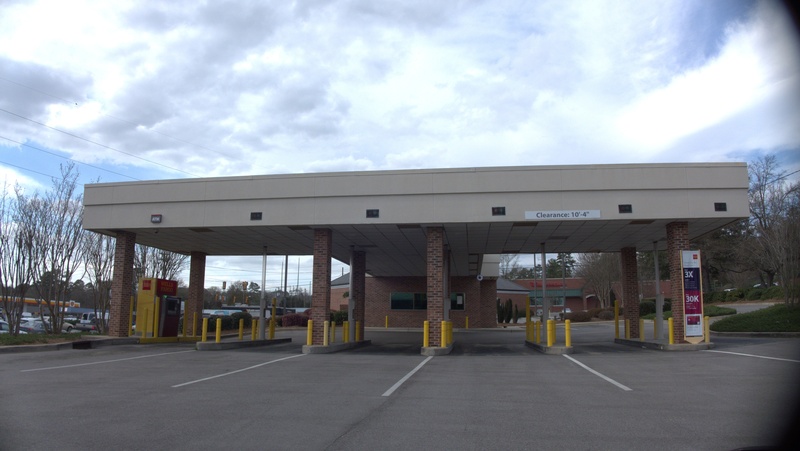 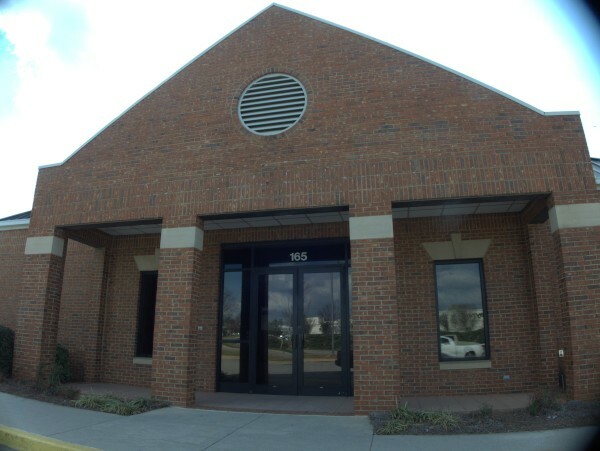 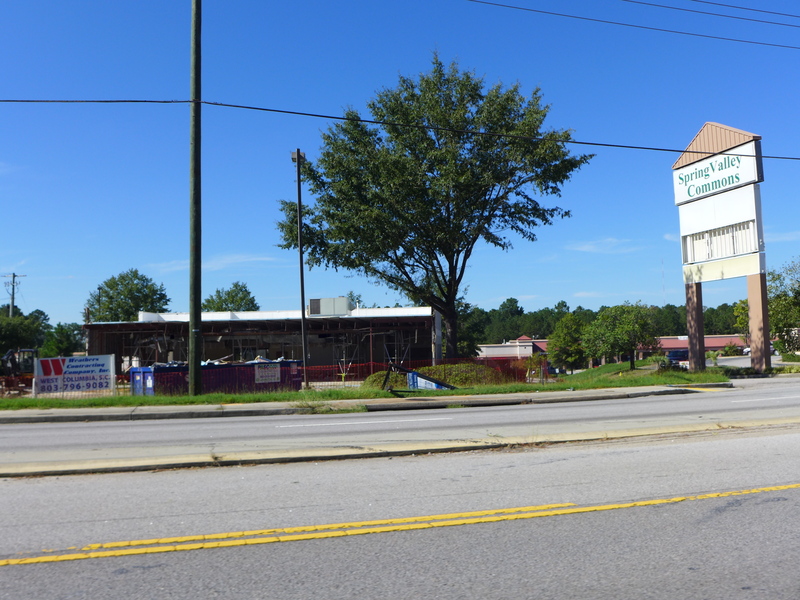 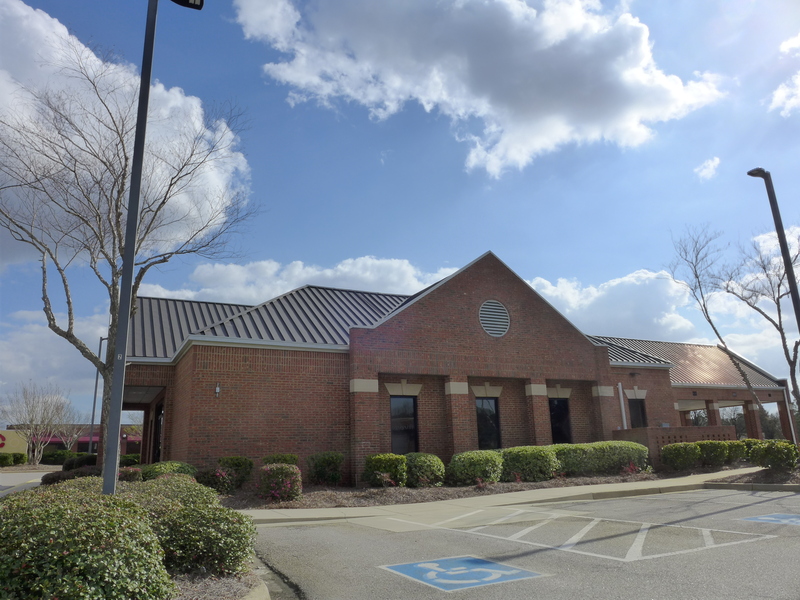 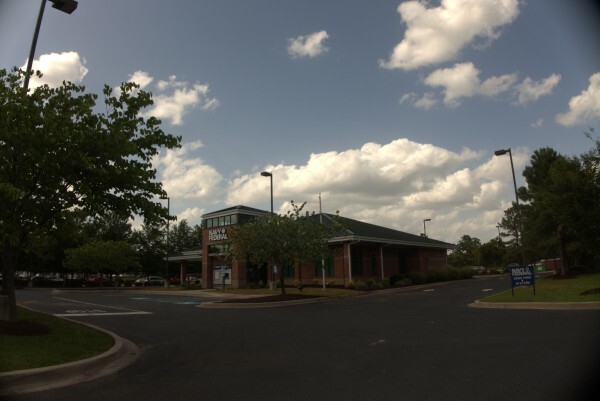 On my way to an appointment recently, I noticed that the Regions Bank branch in East Forest Plaza (the Wal-Mart shopping center at I-77) is now vacant. 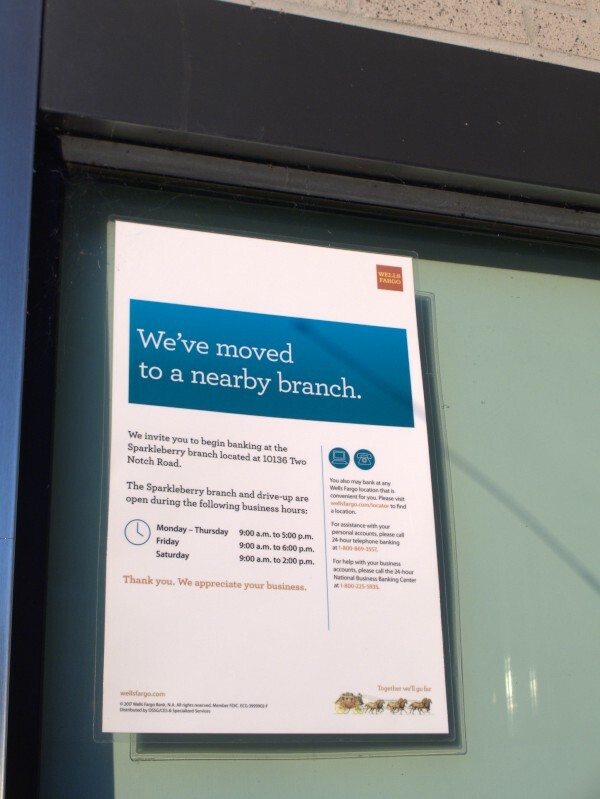 This is another sign of how banks are continuing to shed branches as more and more business is done over the Internet. I can see why this one was a candidate, as the place is rather hard to get in and out of. 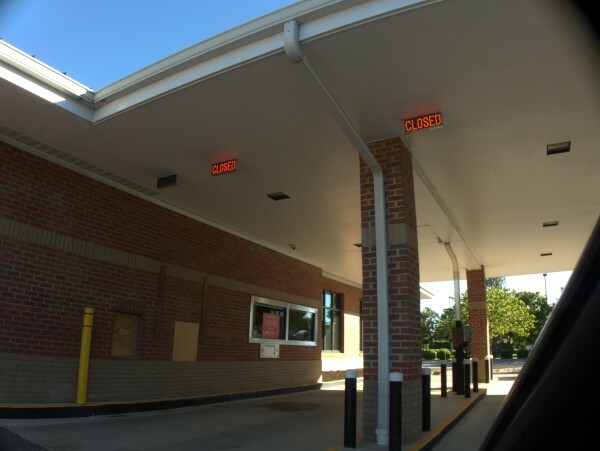 If you are not already going into the shopping center you might well think twice. 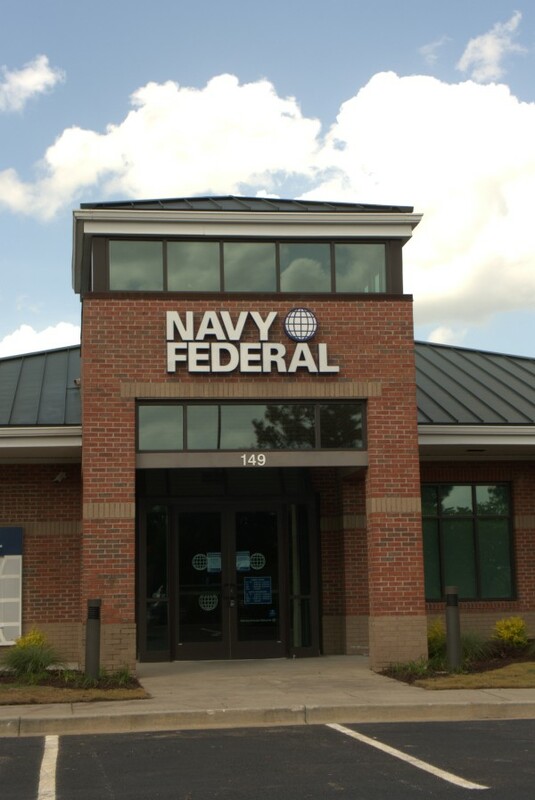 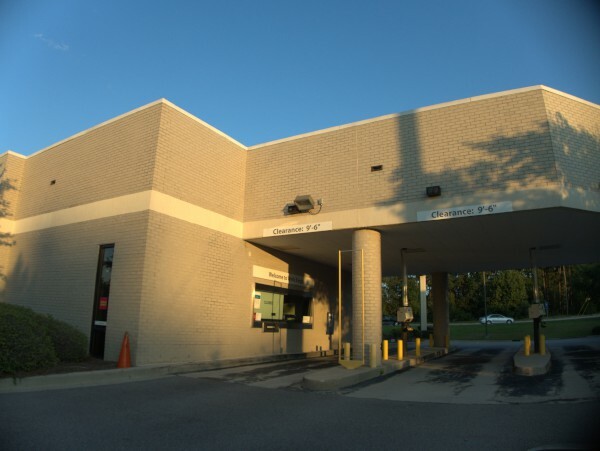 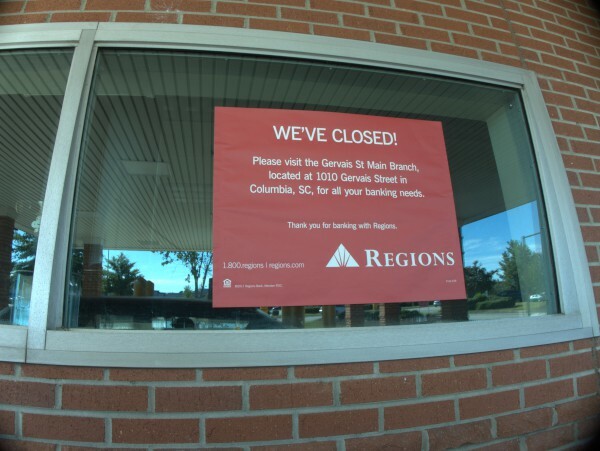 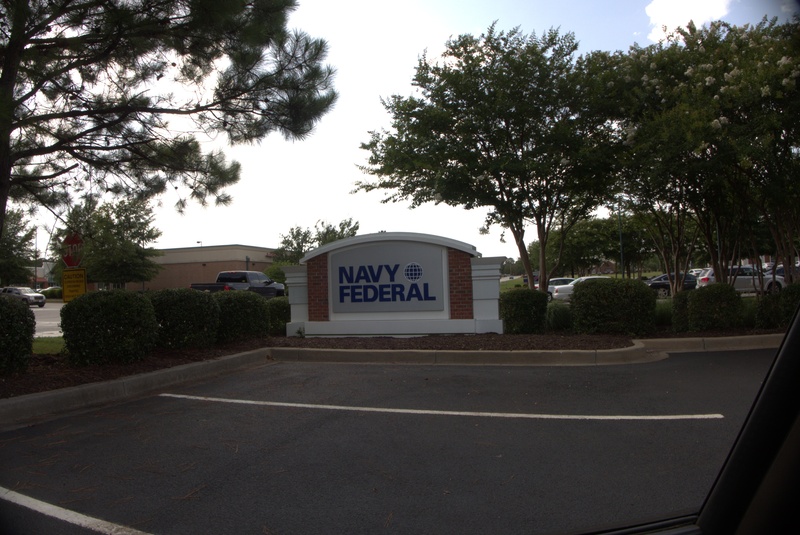 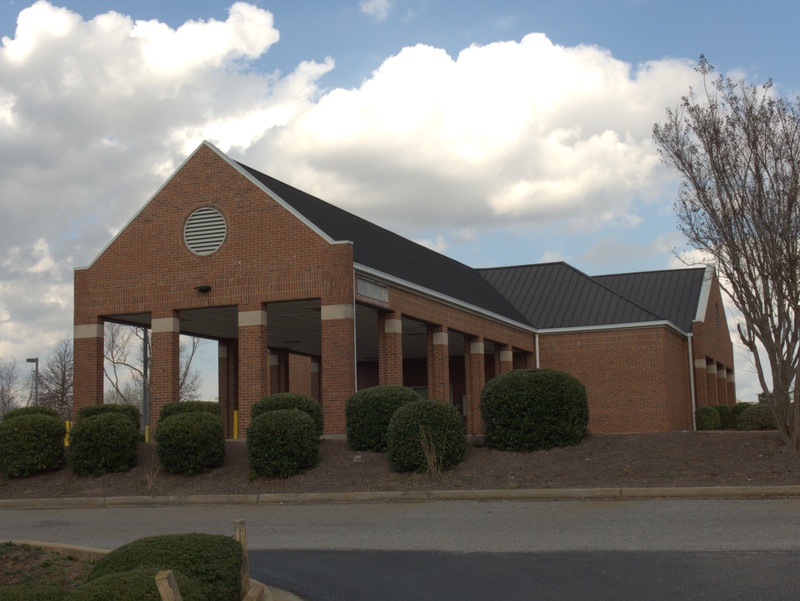 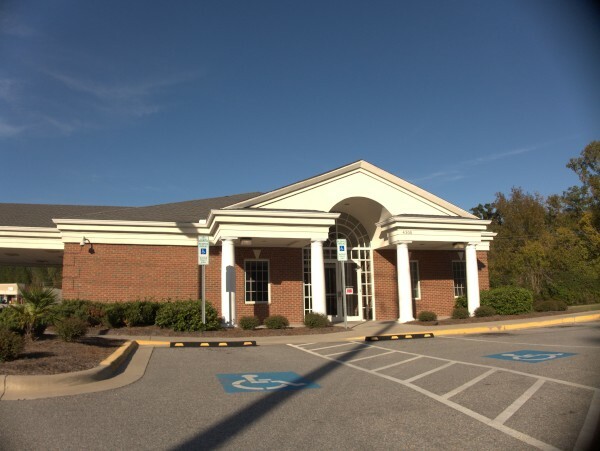 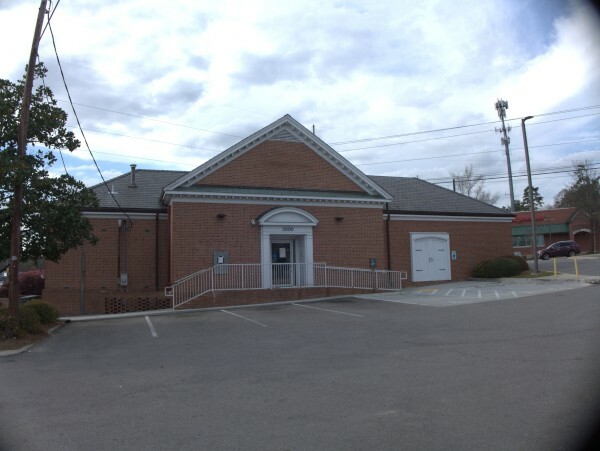 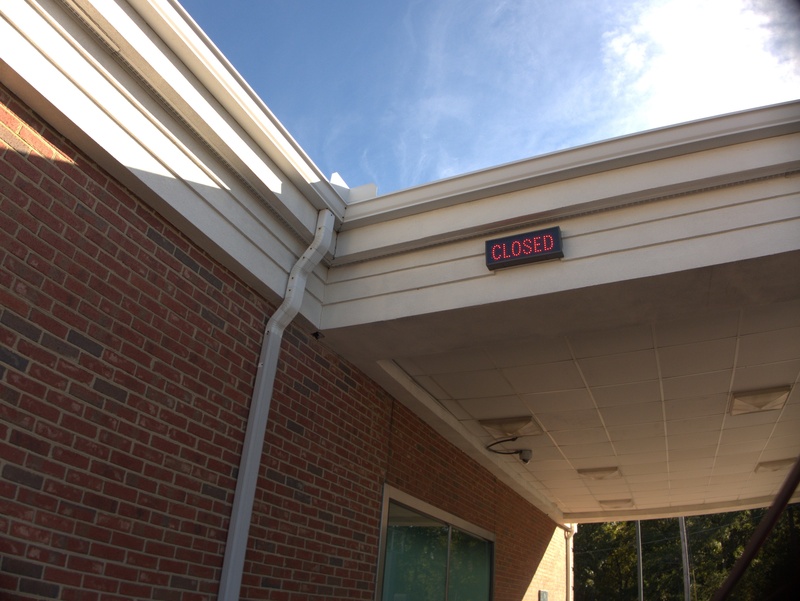 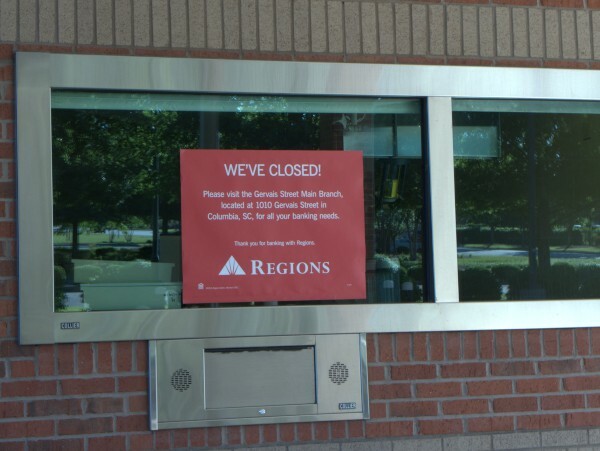 With the recent closure of the Sandhill branch, I believe this leaves Regions locally with only the main location on Gervais and a Harbision branch. 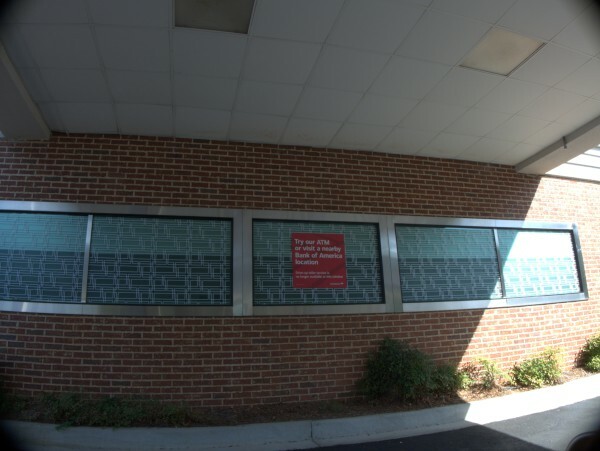 Hmm, actually I don't see the Harbison location on their web site, so that may have closed too -- I'll have to take a look. 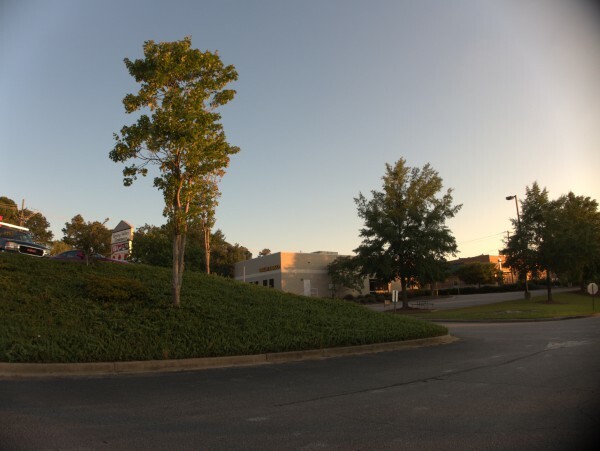 UPDATE 10 October 2017 -- Adding SouthTrust to the post title based on the comments. 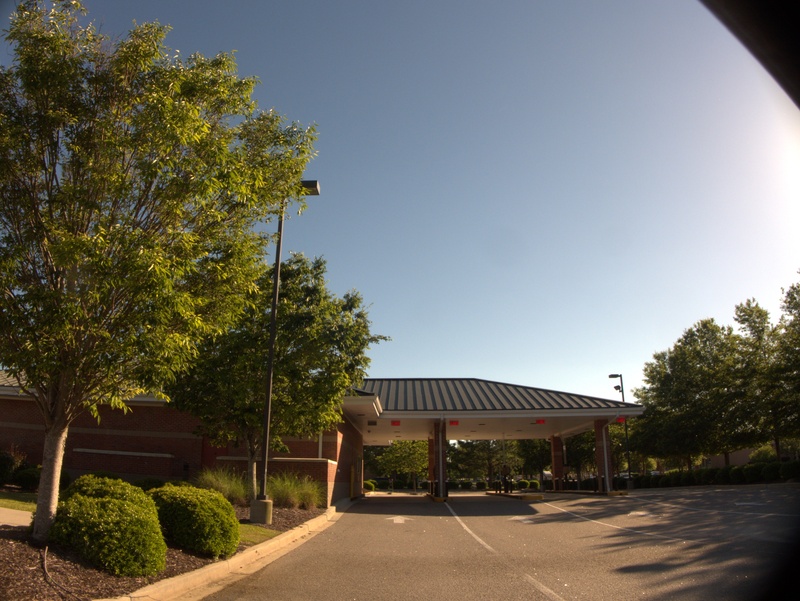 SouthTrust was acquired by Wachovia in 2004, so that would have been gone by 2005. 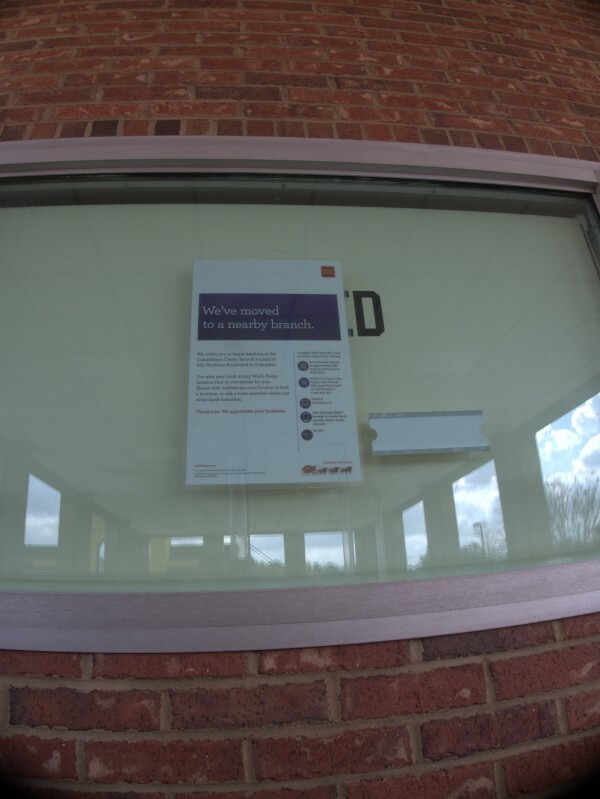 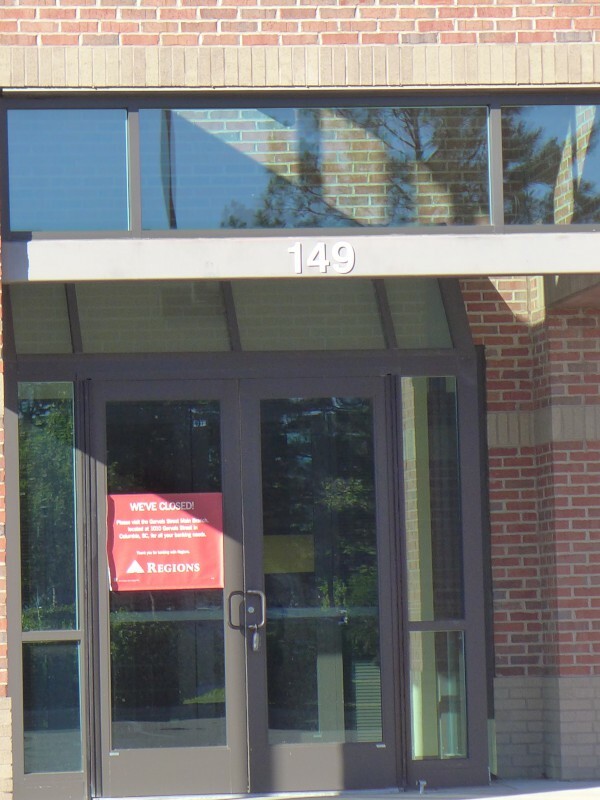 I noticed that this Wells Fargo branch at Spring Valley Commons was for sale when I drove by the other week. 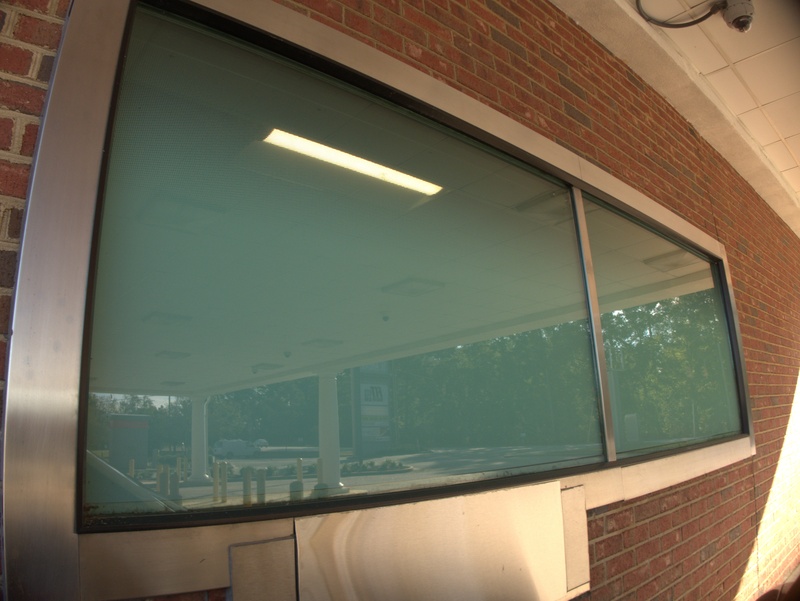 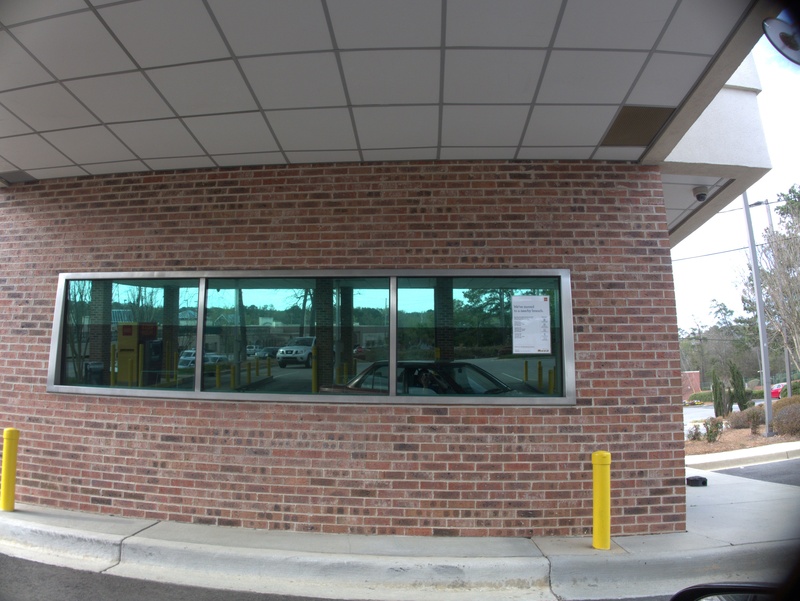 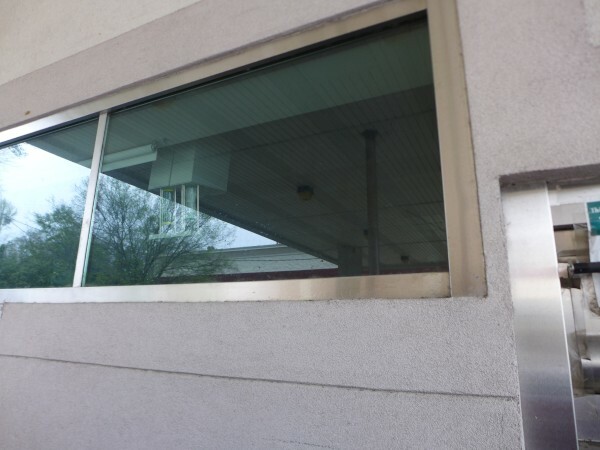 I went back to get some pictures, and I see the ATM is still online, and looking through the drive-through window the place appears to be not yet stripped, so I guessing this is a very recent closing. 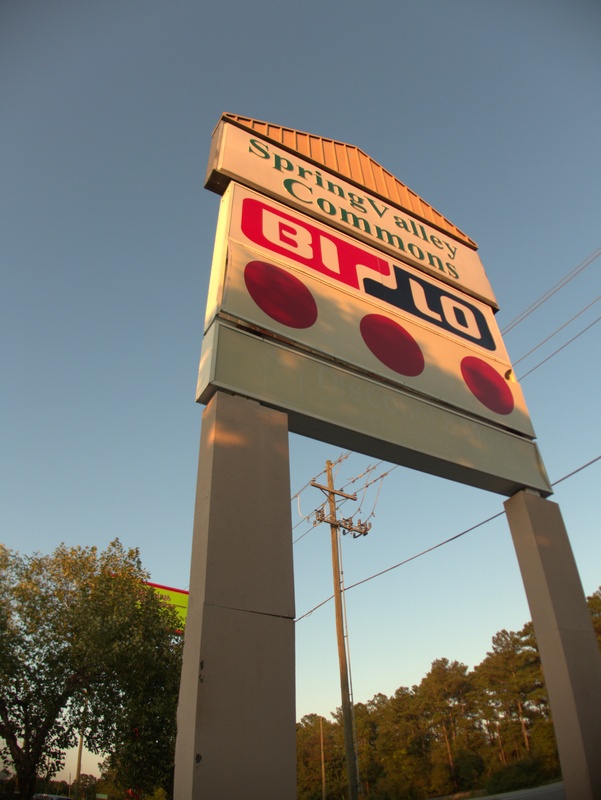 The sign directs people to Sparkleberry, but there is also another Two Notch Branch at the old Dentsville Kmart. I know Wells Fargo has had some trouble lately, which they brought on themselves, but it's also the fact that the Internet has branch banking in a general decline. 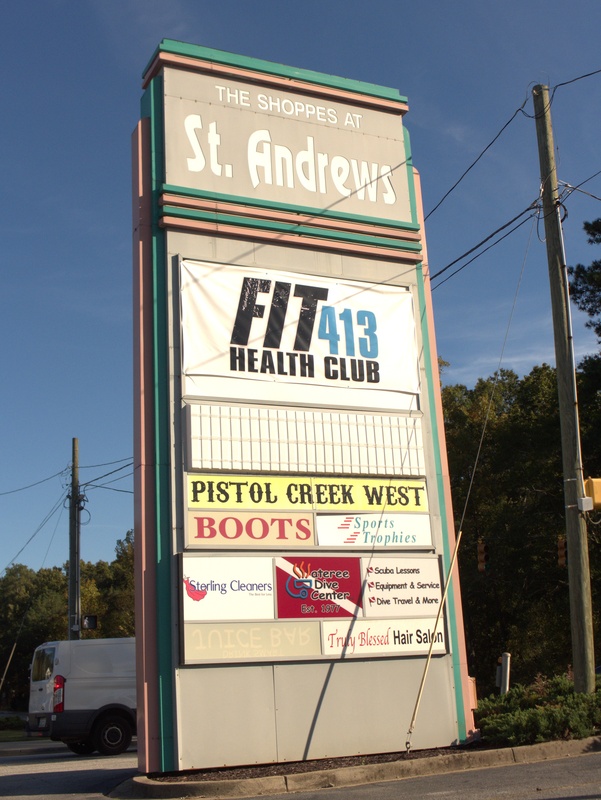 We go back to Saint Andrews Center for this closing. 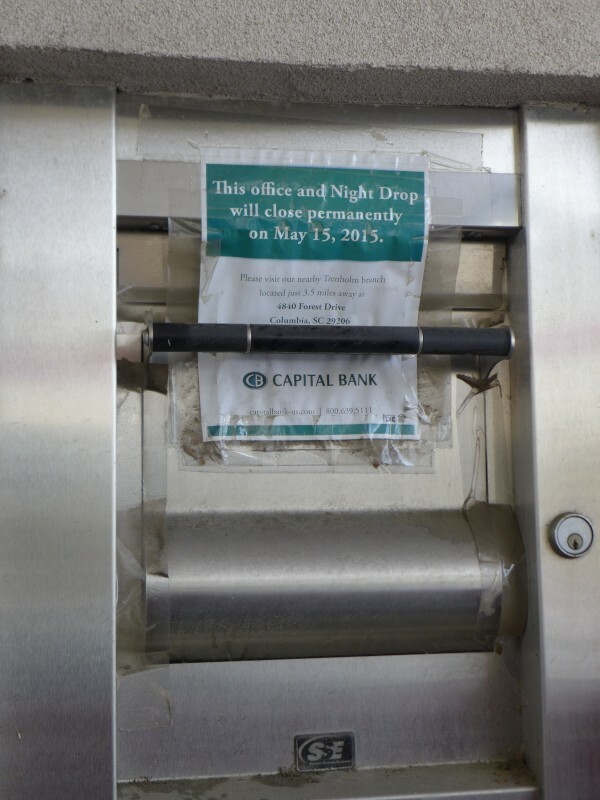 While I was leaving the plaza after taking the pictures of Tuesday Morning I noticed that this branch bank was vacant. 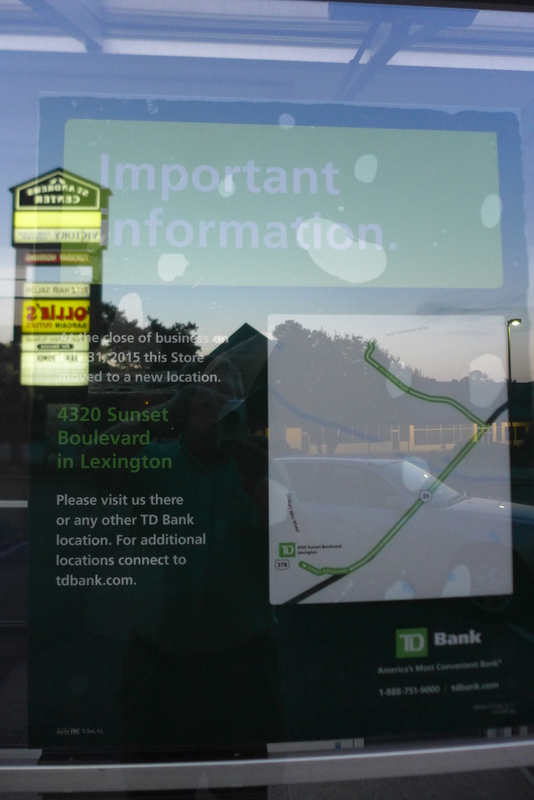 As it turns out, this has been the case for quite a while (almost two years), as TD Bank decamped for 4320 Sunset Boulevard on 31 July 2015. 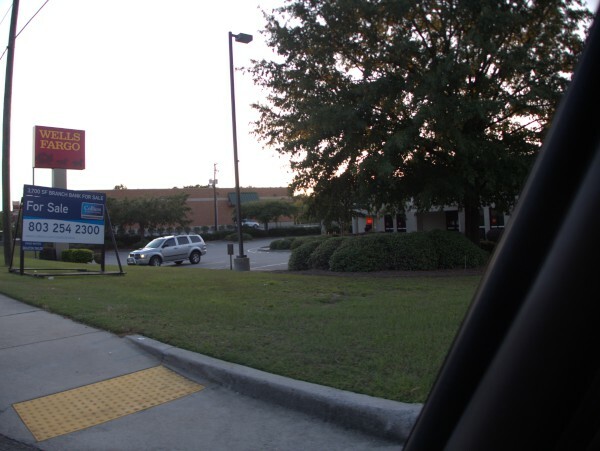 I've always thought it odd that there were two Bank of America locations on Two Notch so close to each other. This one is on the west side of O'Neil Court, and the other is at 7405 on the east side of O'Neil Court (and in the Lowe's parking lot). Apparently they have recently regularized the situation by closing this one down, with the exception of ATM service. 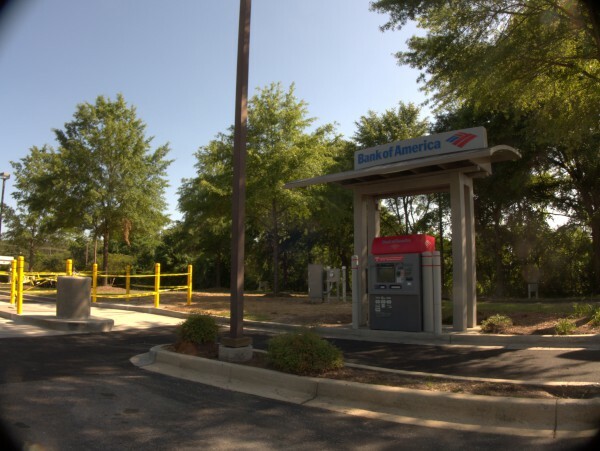 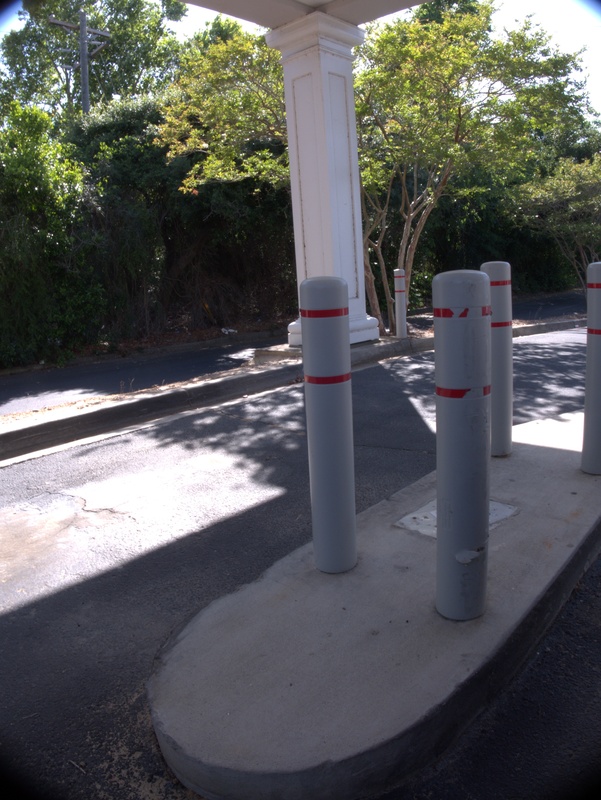 It's not clear to me if two ATMs will remain on the lot. 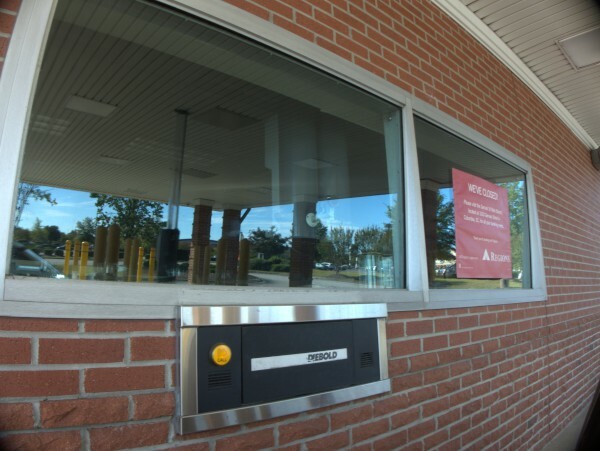 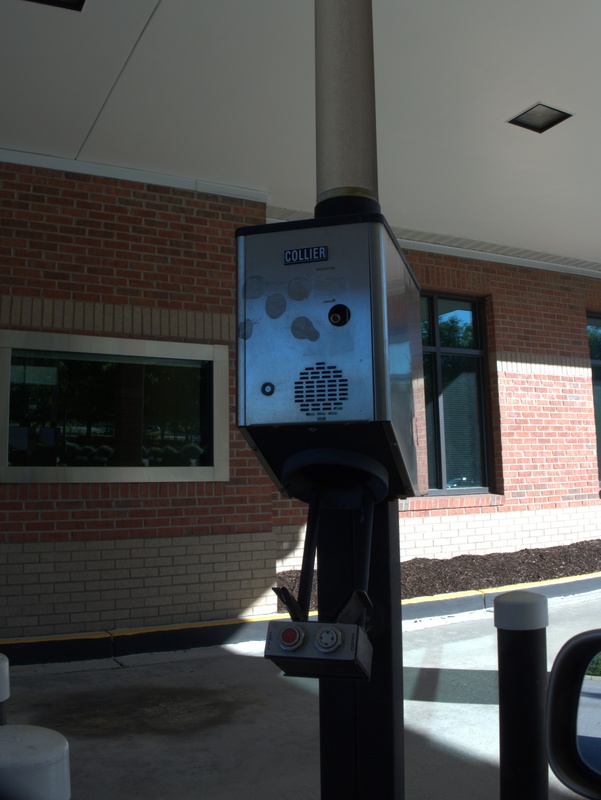 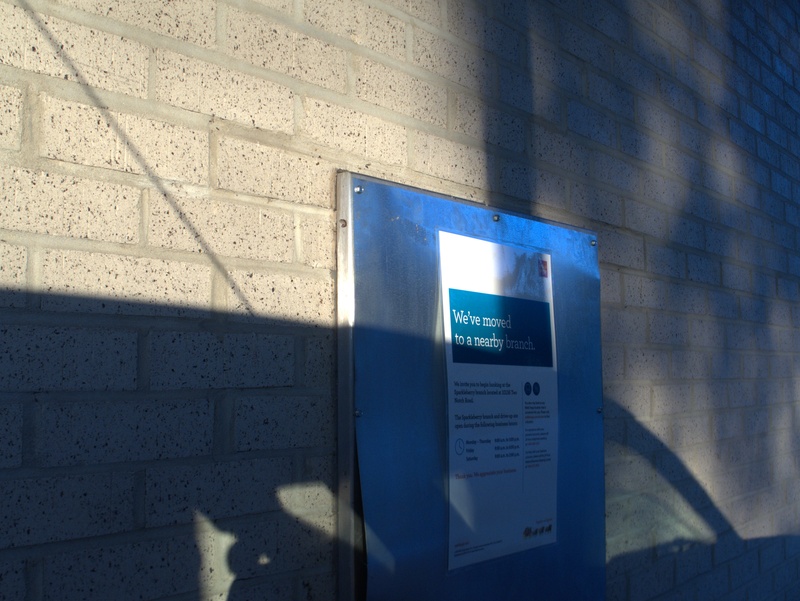 The day I noticed that the drive-through lanes were closed and took these pictures, something was going on at the "back" ATM and access to its drive-up lane was blocked though the machine appeared to be running. The lot itself is fairly big, and opens on both Two Notch and O'Neil Court -- I can't imagine that they plan to leave it vacant with just ATM(s) for long. 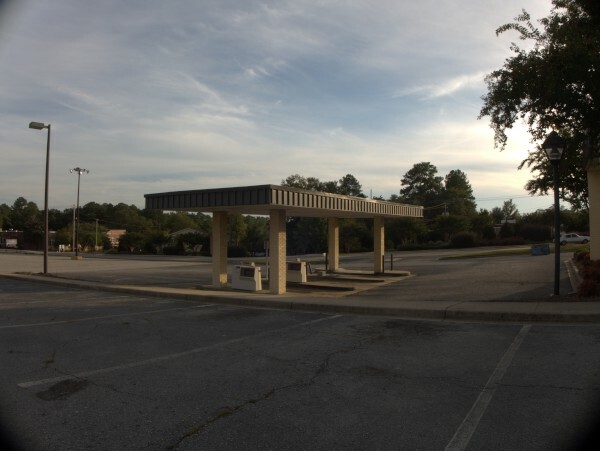 I expect they will put it on the market at some point. 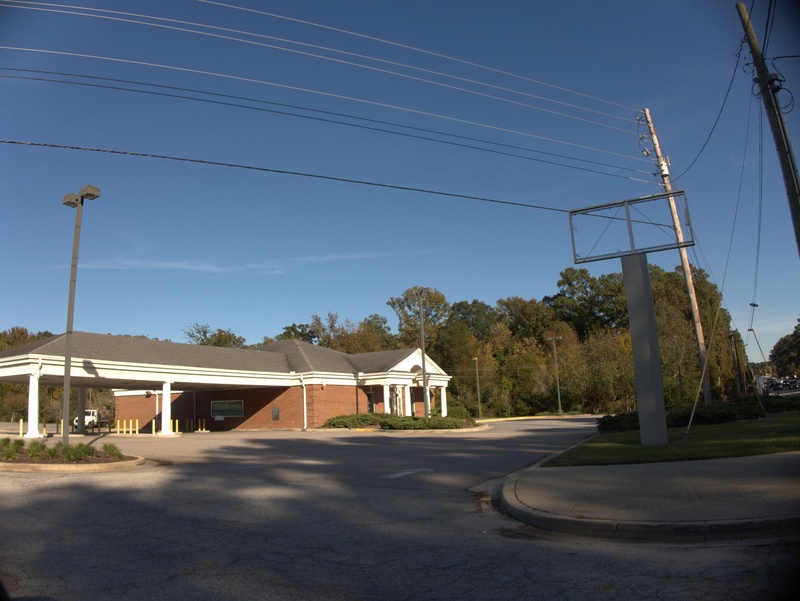 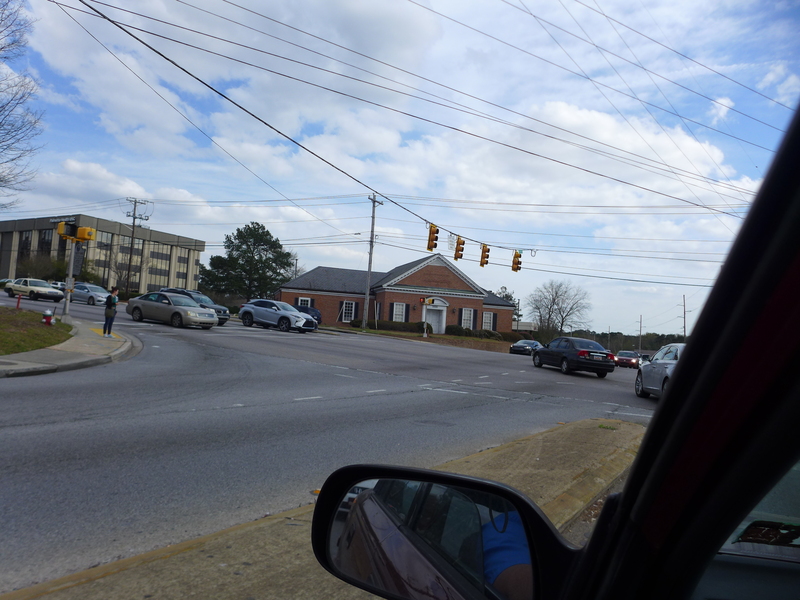 I was at Sandhill the other day and noticed that this Regions Bank on the outer perimeter was closed. I see a google review from four months ago indicating it was already closed then, so I'm putting the date as January 2017 though that may be after the actual date. 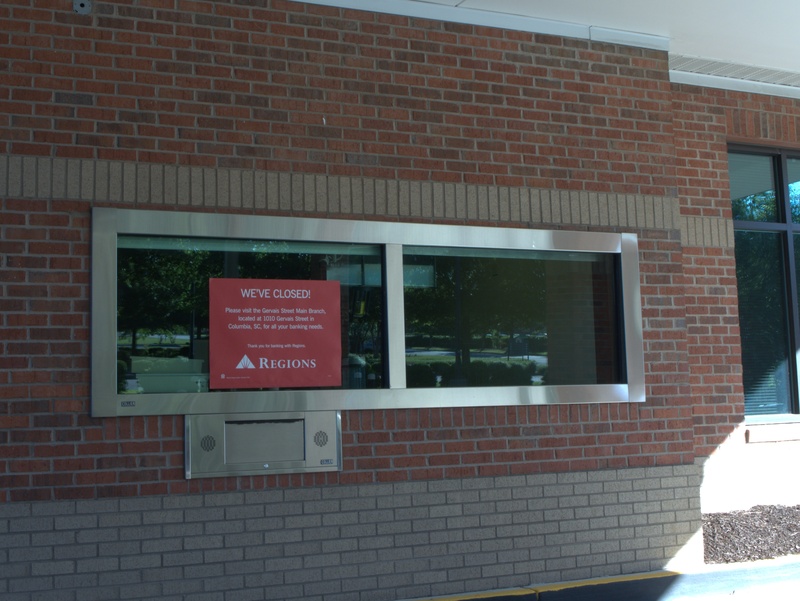 I've always thought Regions Bank was an odd name. It was especially odd when BOA was still Nations Bank because then it sounded kind of copycat. 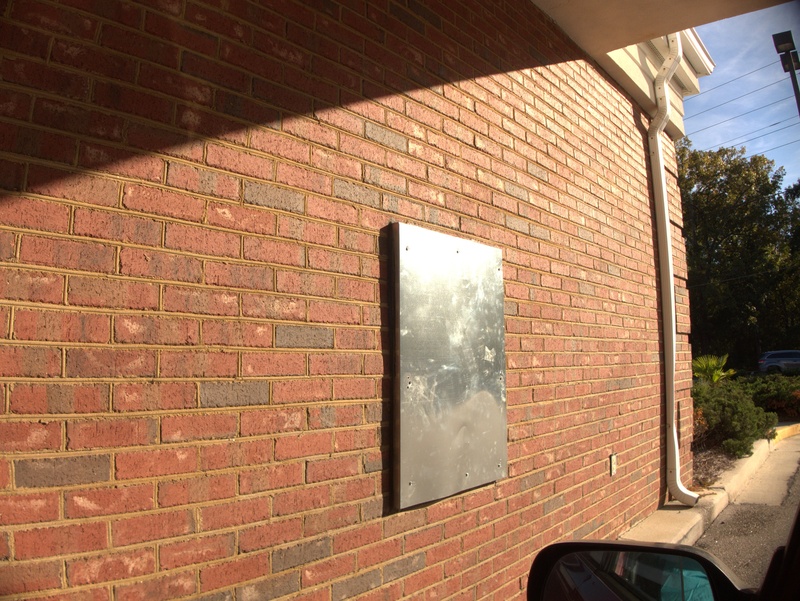 Now it just seems nonspecific.